It was so hot that it felt like mid-day already. Unfortunately, I made it only about 15 to 20 minutes into the hike and my trek came to a halt … or rather a circle … I was lost. 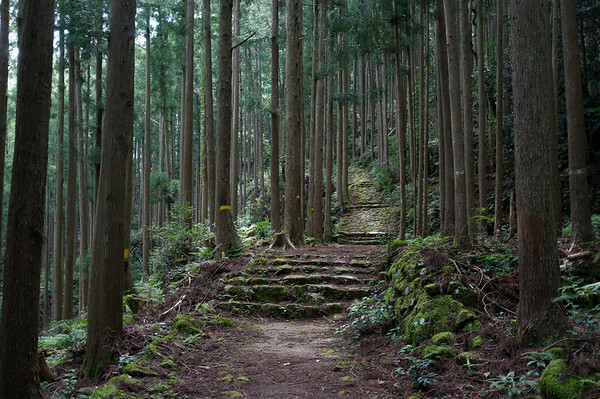 Looking at my map, I walked back and forth looking for the Kumano Kodo signs but was unable to locate them. 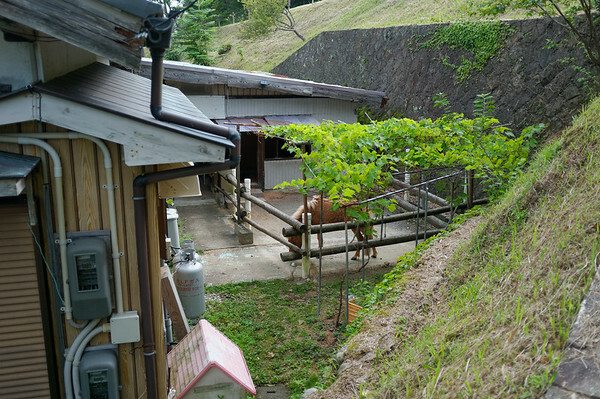 The trail took me through a tiny residential block with small homes. With all the dogs barking at me, eventually a very kind woman pointed me in the correct direction of the trail and I was relieved to finally continue on my way. 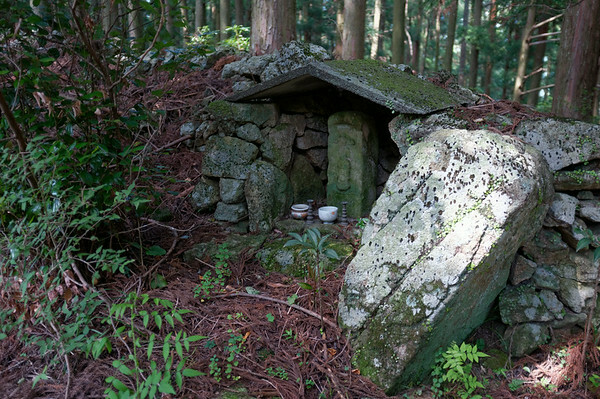 It was a solid night’s rest after day 3’s challenging 27km hike on the Kumano Kodo pilgrimage trail. 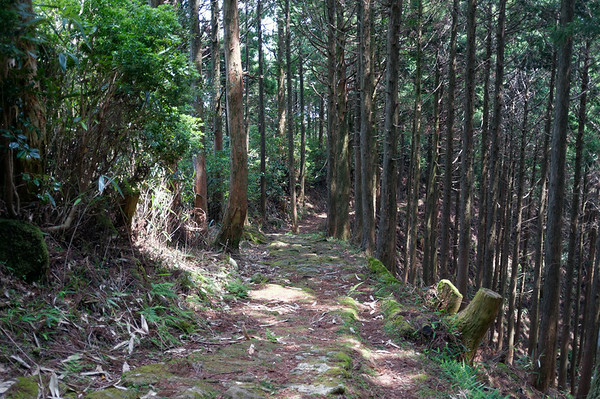 I anticipated that the hike today would be less challenging than yesterday’s in terms of distance but I had read ahead of time I’d reach the highest point in elevation along this part of the Kumano Kodo trail. The fact that there would be a cumulative effect of hiking long distances day after day was not lost on me, but I did not seem to be experiencing it. 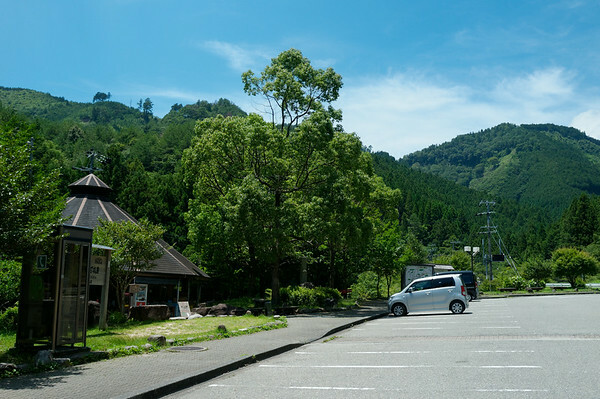 Learning from what I had experienced on yesterday’s hike, I made sure to run across the road from the ryokan to a convenience store to pick up some lunch that I could carry along for the hike. I figured that this would keep me going. Soon after breakfast at the Yoshinoya Ryokan, I was sitting in the lobby making use of the WiFi when a very well-dressed gentleman stepped in. 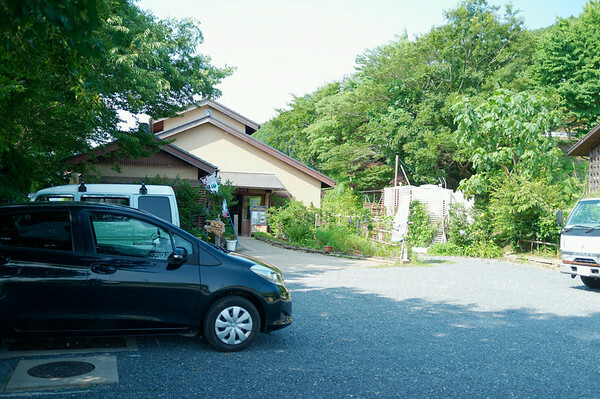 I had no idea who he was but eventually was informed by the owner of the ryokan that he was the taxi driver who would be taking me to my starting point today. I didn’t expect the taxi to arrive 15 minutes early but fortunately I had already packed up and was ready to go. It was a fascinating but rather long ride in the taxi to the starting point — approximately 30 minutes. The driver was silent nearly the entire way but was so professional — and was extremely keen on ensuring that I didn’t get lost when he dropped me off. 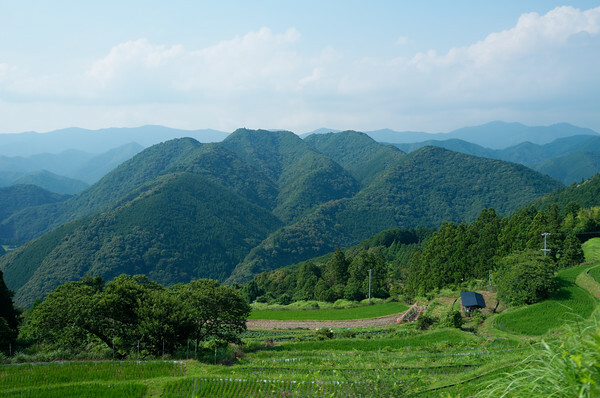 If I had more time in Japan, I would have planned to hike the way to Koguchi (where I would be starting today) but I had already made plans to meet up with friends living in Osaka. Once I got dropped off, I immediately set off with a good pace. It was so hot that it felt like mid-day already. Unfortunately, I made it only about 15 to 20 minutes into the hike and my trek came to a halt … or rather a circle … I was lost. 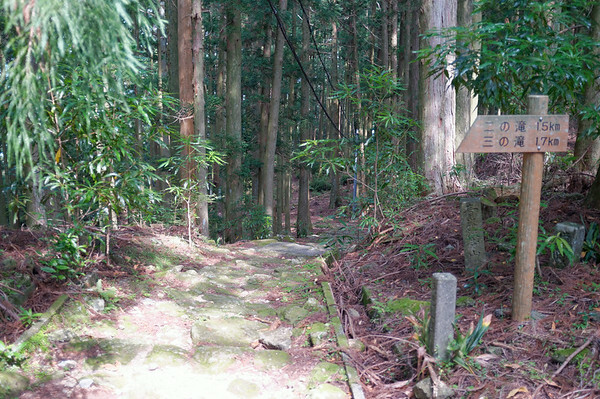 Looking at my map, I walked back and forth looking for the Kumano Kodo signs but was unable to locate them. 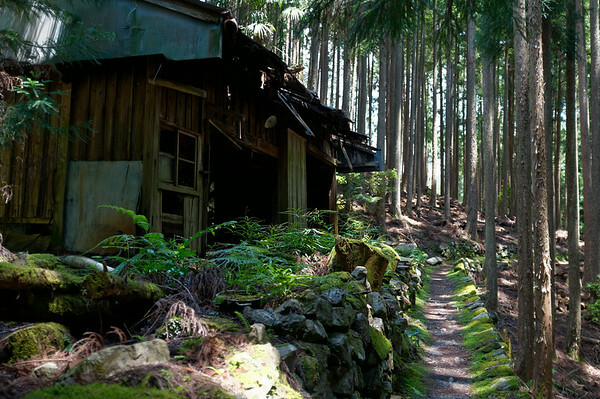 The trail took me through a tiny residential block with small homes. With all the dogs barking at me, eventually a very kind woman pointed me in the correct direction of the trail and I was relieved to finally continue on my way. 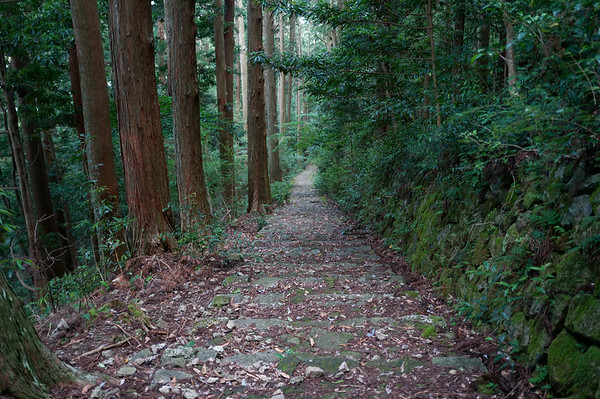 As soon as I stepped into the woods, the temperature felt quite a bit cooler but I was also confronted with a long series of steps to climb. This climb continues for quite a while. 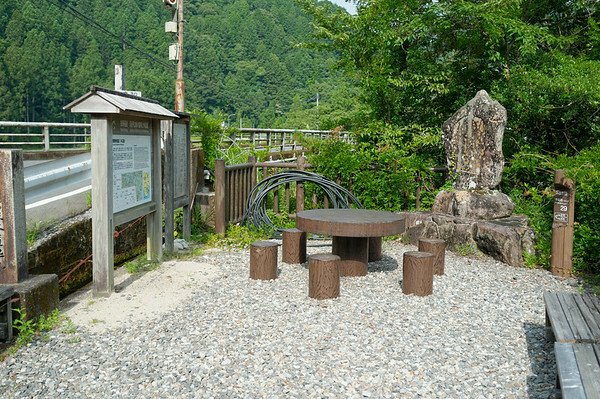 After climbing many series of staircases or mossy rocks, I eventually came across a very nice rest area and paused shortly. 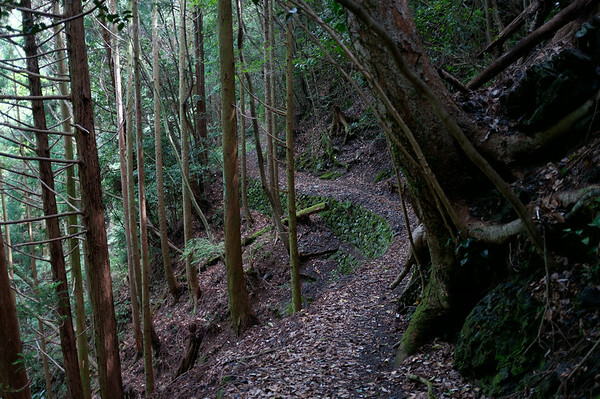 I was very fortunate to not have rain the entire time that I’ve been out on the Kumano Kodo trail. 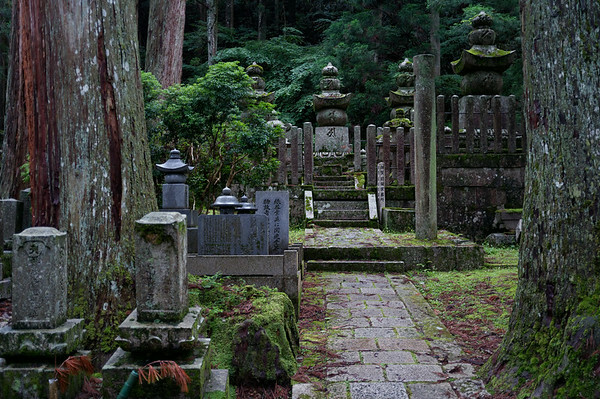 Many folks have mentioned that it gets very slippery out here due to the moss. 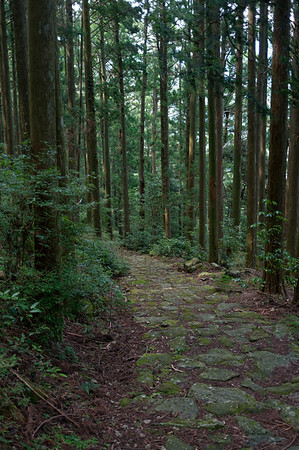 This part of the trail is what really has that ancient historical feel. 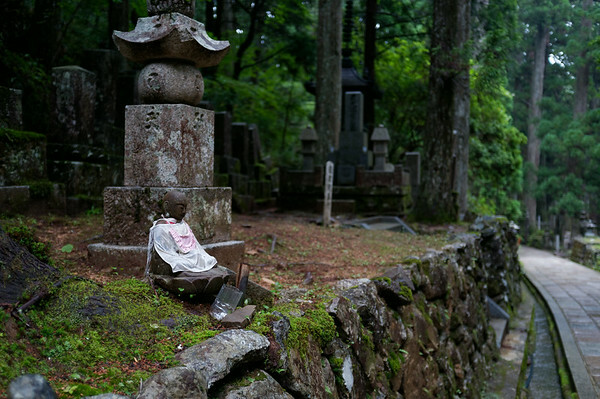 Maybe it was just the stone-laid steps, but combined with the really stunning jizo statues I encountered along the way — I could not help but try to imagine hundreds of pilgrims hiking this path hundreds to thousands of years ago. 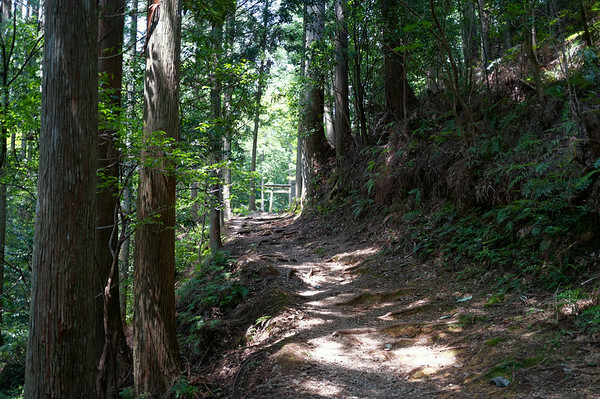 Although I don’t really show it in this blog post, the climb up to the highest elevation point of the Nakahechi part of the Kumano Kodo trail (referred to as Echizen-touge Pass) is very challenging — particularly in the summer. I think I spent a large amount of time on today’s hike tackling the climb up. 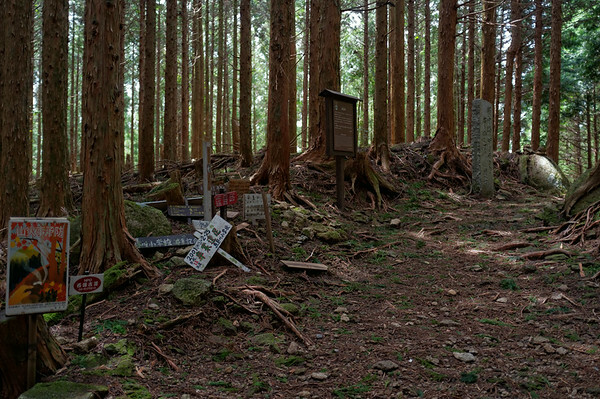 Echizen-touge Pass oddly enough had a lot of signs littered around the area — too bad I couldn’t read any of them! Once over the pass, it was a steady and sometimes steep descent down from the pass. I was focusing on my footwork because the rocks on the way down were covered with moss and quite slippery if your boots were wet so I didn’t take many photographs of the descent. I often attempted to find routes around wet areas of the trail down but the river along the side made for quite a challenge. Just as I thought the major ascent was over, I was given more climbs to tackle. Sometimes climbs lead to more climbs or climbs lead to a peak to descend from, however this one climb led me to an absolutely beautiful area. 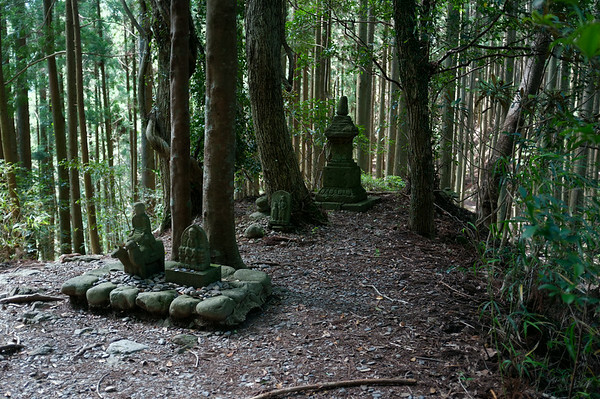 It almost looked like it were a landscaped area in the middle of the forest. Perhaps this was done hundreds of years ago? I was feeling pretty good about the progress made so far and just as the trail took me out of the woods and on to a small road, I found the perfect spot to enjoy lunch before continuing onwards. 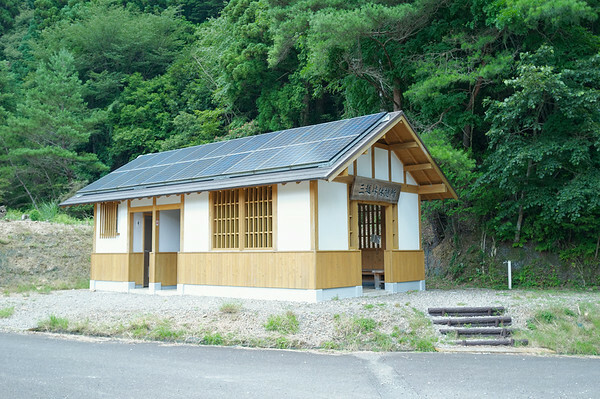 Just adjacent to the rest area was an old tea house — I keep wondering if someone would be serving tea from these spots during the months when hiking the Kumano Kodo is quite popular. This is when I discovered that the two buns I grabbed from the convenience store the previous day were actually two different versions of red bean buns. The irony is that I’m not a big fan of the red bean but who am I to complain? At least I had lunch this time around! Directly across the rest area was a vending machine (surprise!) that actually spoke to me (in Japanese of course). Unfortunately at this point, the major ascent had caused me to consume a significant amount of my water (3 litres) — and when I sought water out at the vending machine, all it had was iced tea or coffee. Ended up purchasing two bottles of iced tea, hoping that it would last me the remainder of the journey to Nachi-san — which it didn’t but I can’t predict the future. I watched a British couple pass me and was surprised at how little water they were carrying not to mention how little rest they opted for. 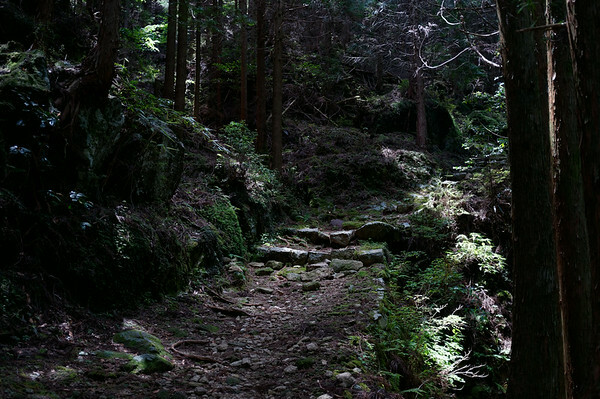 I had passed them before along the major ascent and I would eventually pass them again. After lunch, I continued on my way on to another detour — a consequence of the recent typhoons that had completely destroyed nearby sections of the trail. The detour took me a long trek up a road that followed a river that ran parallel to the actual trail until it crossed the road and into a deeper wooded area. 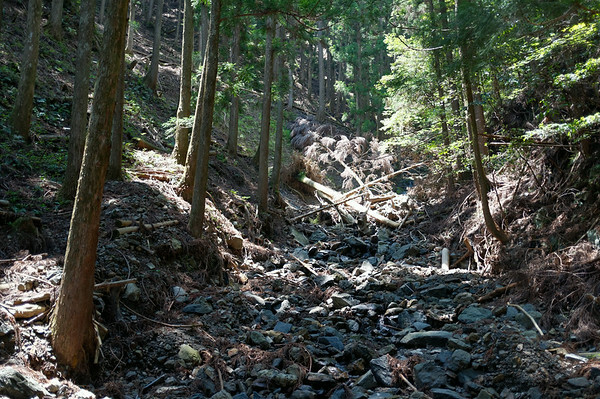 Even in this section, it was pretty astounding to see the damage that the typhoon had on the area. 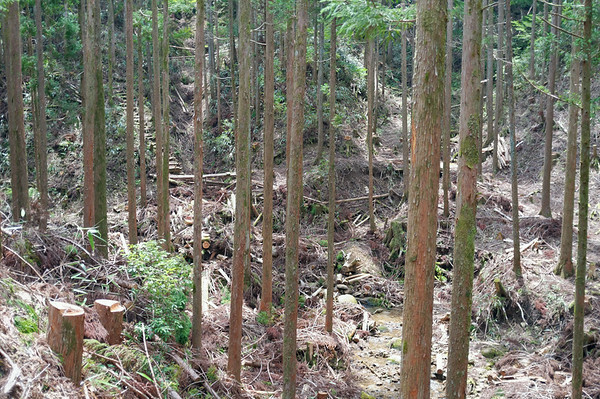 Fallen trees and large rocks could be seen lying all over. 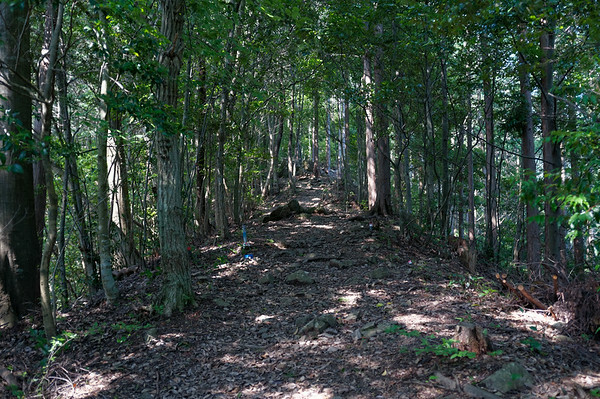 I figured the trail was still open because people were able to safely clear out most of the fallen debris or most of the debris did not block the path and did not pose any risk to people on the trail. Perhaps it was the humidity that was bugging me (I also had this weird ear infection from a mosquito bite), but one issue that nagged at me was the fact that maps would often inform me of the large ascents but not show any of these other ascents — in fact, elevation diagrams would often show very small inclines. I wish I were better able to determine where the ascents were to better plan where I would rest and how I might be able to conserve water. The tricky thing about topographical maps in Japan is that they are extremely expensive for whatever reason so I opted not to purchase them. 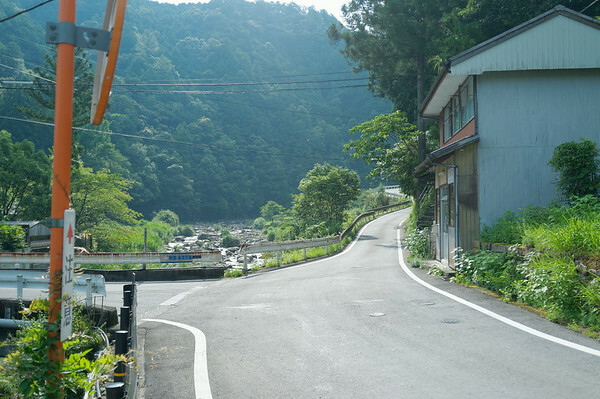 Just as I began running low on iced tea (I was already running on drops of vapor from my water bladder), I finally reached Funami-touge pass. Supposedly there was a nice view of the sea but I wasn’t able to get a good glimpse. 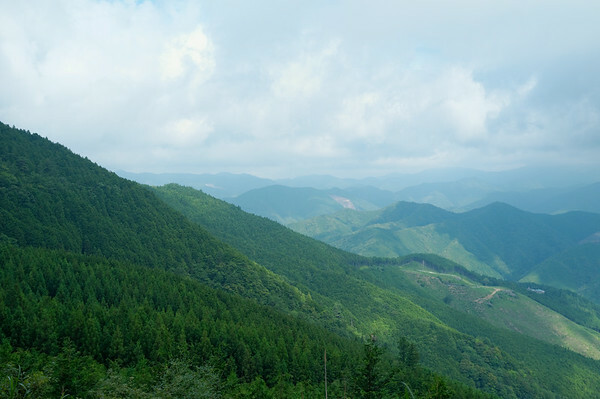 Having very little water or tea left, I was just happy that it appeared to be a lengthy descent. 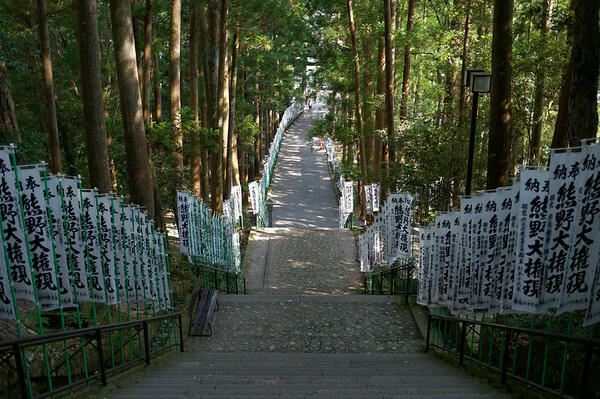 It was more important to me to reach Nachi-san than to have one good view of the sea. 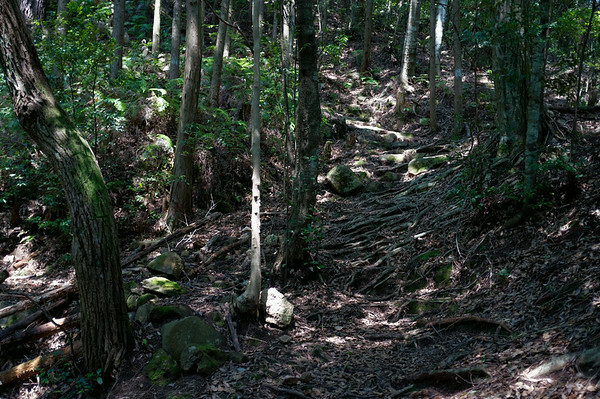 This descent led me through a parking lot and into a very peculiar looking park-like zone. 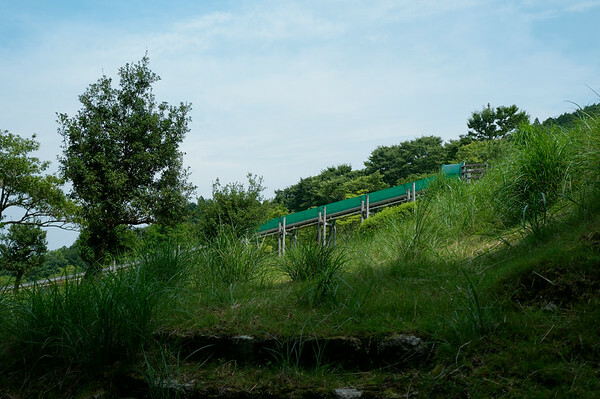 Next to the trail, there was a giant slide, which I thought at the time should become part of the trail (just for fun), and a number of A-frame structures. I’m not sure if they were for children to climb into but it was neat to see. 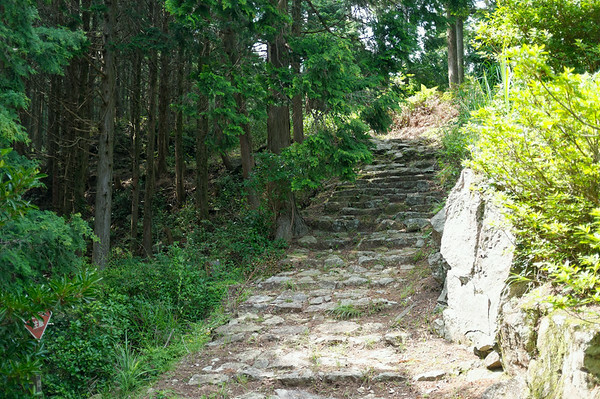 As I made my way through the park-like area, the dirt trail evolved into a stone path and thus began the long and final descent to Nachi-san. This section was one of the most beautiful wooded areas to pass through but I can see why many people find this part to be very difficult. 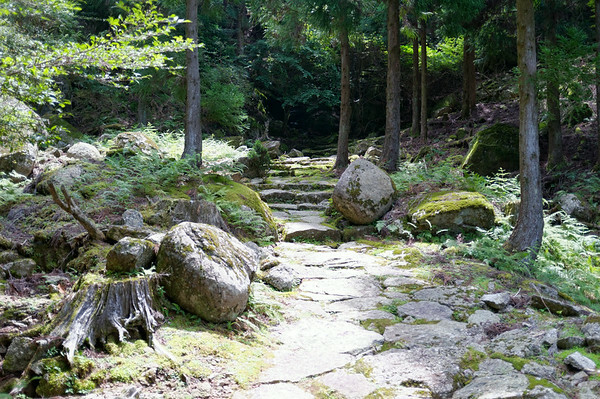 The old stone path is covered with moss and the humidity and additional moisture just makes for an even more slippery experience. 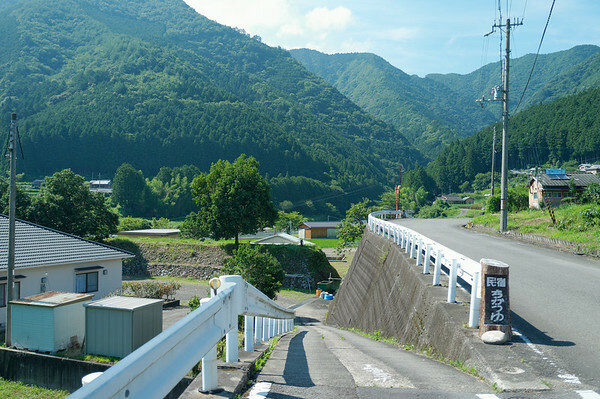 There were times when I had to significantly slow down my descent just to make sure that I wouldn’t slip just as I turned along the switchbacks. 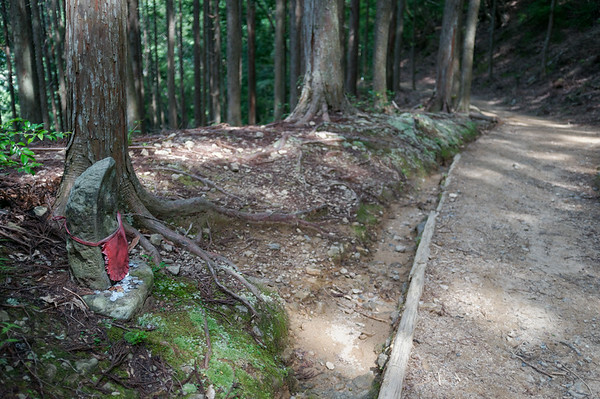 There were some more shrines along the way that I noticed but the main feature of this part of the trail are the long series of steps. 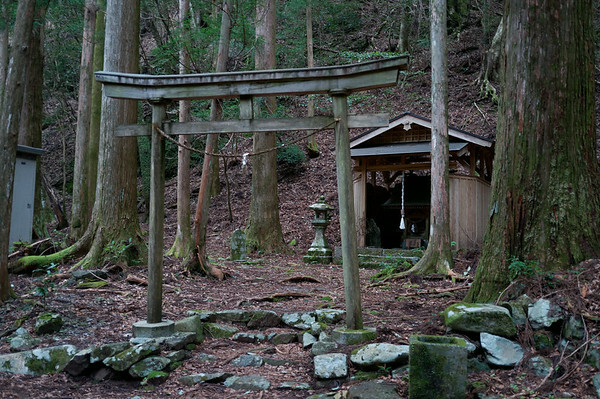 As I stepped into Nachi-san, I had this sigh of relief and accomplishment. My legs were definitely aching at this point and my body was crying out for water. Just as I turned to my left at the foot of the set of stairs, I saw ice cream! I had been meaning to try out plum flavoured ice cream and I immediately embraced that opportunity. 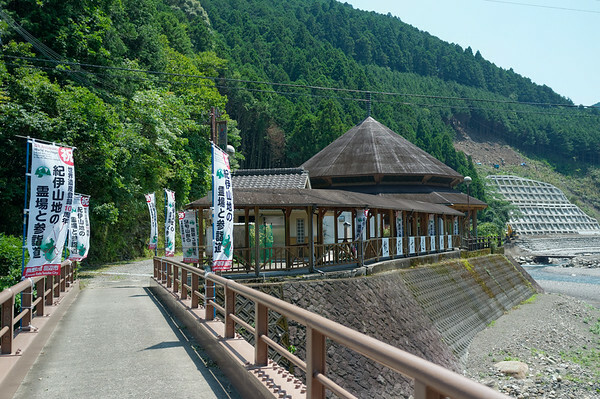 It was still too early to the Mitaki-sanso Inn (the only place to stay in Nachi-san) so with my journey near to completion, I decided to explore the area a little. 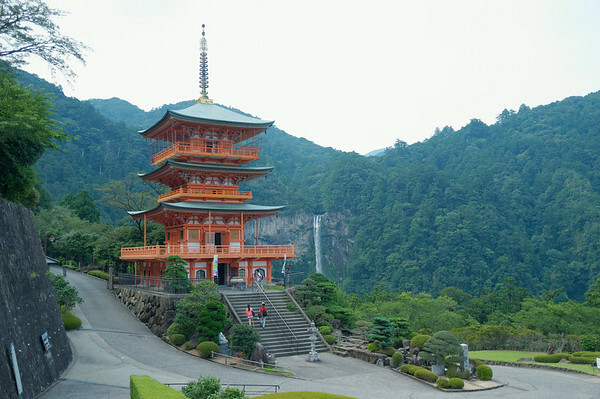 It is near to impossible to miss the the Nachi-san pagoda (Seiganto-ji) amidst the backdrop of Nachi-no-taki waterfall, the tallest waterfall in Japan. 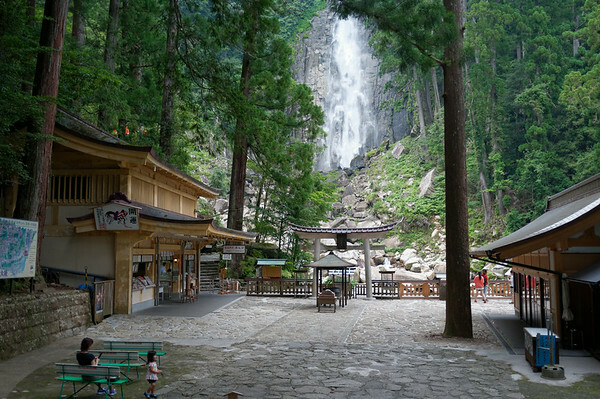 Supposedly, there have been people who have had spiritual training under this waterfall which is quite impressive considering that is water falling from a height of 133 metres! I had the opportunity to make a brief visit into the pagoda and its different floors — there was even an elevator in there! 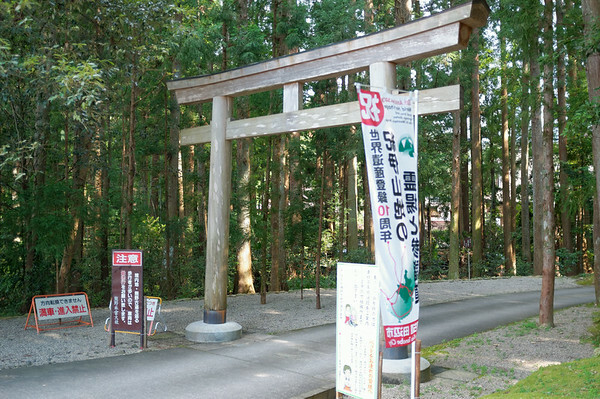 There is a small entrance fee but it’s worth taking a look. I only wish they didn’t set up a huge net around the upper levels of the pagoda because it made taking photographs quite difficult. Fortunately, someone was very thoughtful and had made sure to cut open a gap in the net large enough for cameras to take photograph through. I can only imagine how busy that may get during tourist season. I poked around the pagoda some more before strolling over to the temple and simply taking in the atmosphere and the beautiful architecture. 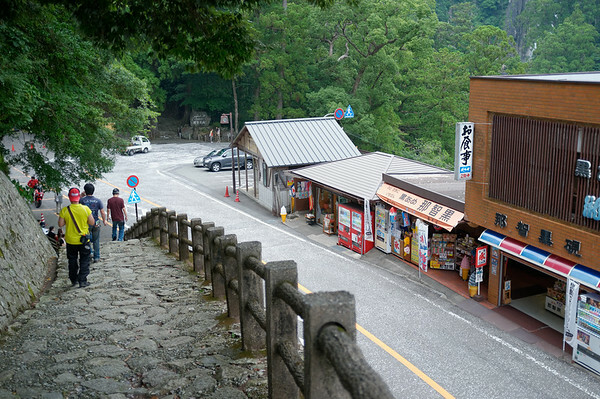 From there, the trail continues to descend to what I referred to as main street Nachi-san with vendors and stores serving tourists. 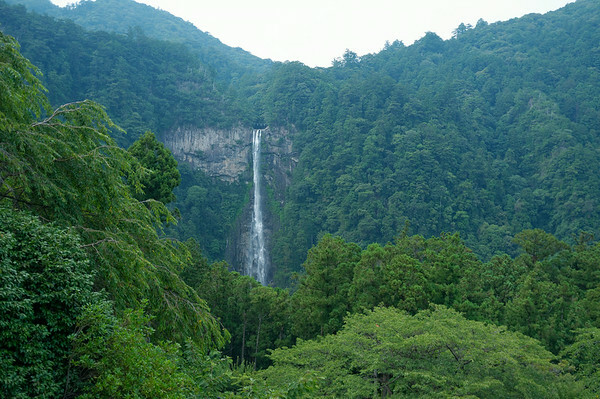 There was also the option of getting closer to the Nachi-no-taki waterfall so I made my way down more steps (ugh) and eventually had an excellent view of the waterfall. There was the option making a small payment to reach the base of the waterfall but at that point, I really didn’t feel like having to trek anymore — particularly as I was completely out of tea and water, and it was getting very hot and humid. So I turned around and made my way to the inn I was to stay at. 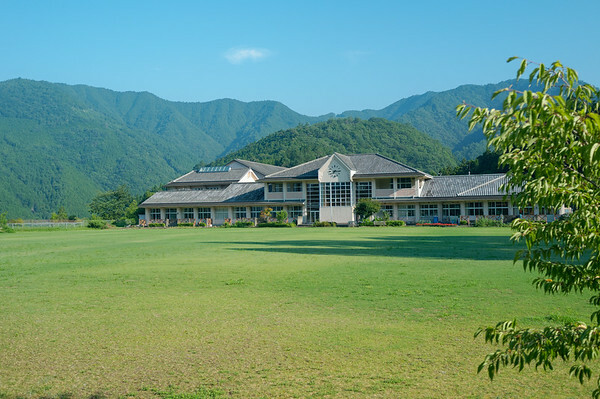 Of course, once I arrived at the Mitaki Sanso Inn, I was greeted by the owner and another elderly man who appeared to be a friend or a colleague. At that point, I was very tired and as typical of local Japanese, I was greeted with an “atsui desu ne?” (hot isn’t it?). I simply smiled in my tired state and responded with “hai” (yes). I don’t think they heard me because the owner began to try and translate for me. 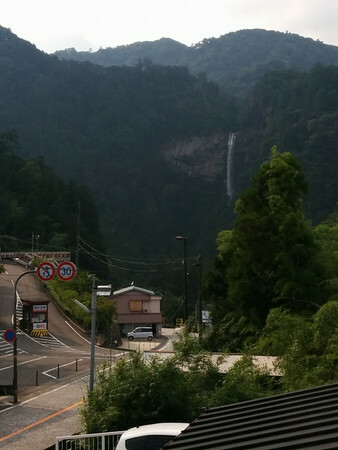 I found out that I was the only person staying at the inn which was nice and I had a beautiful view from my room of the waterfall. The inn itself wasn’t as nice as the other guesthouses that I had stayed at but it was comfortable and the food was excellent. 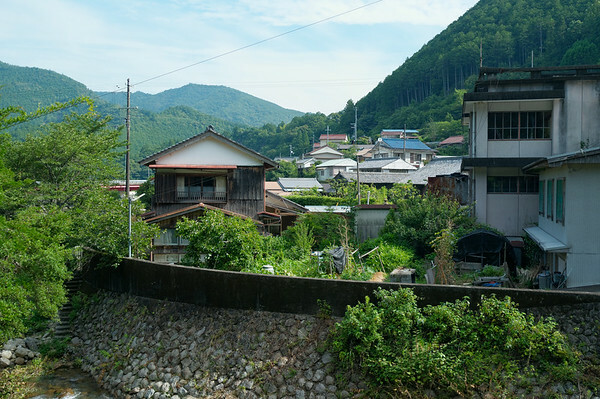 I had only spent 5 days in what most would consider “rural” Japan but it felt so much longer than that and it felt weird that my journey would end with a train ride back to Osaka. More importantly, I had a feeling of contentment and peace after completing this journey — I just needed to get a good night’s rest. The next morning I woke up, had breakfast, and bid the owner of the inn farewell. 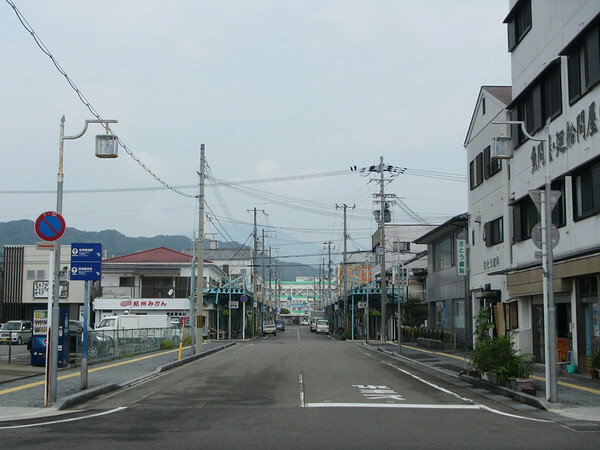 Made my way back to main street Nachi-san to catch a bus to take me to the port town of Kii-Katsuura. It was a pretty early morning and much of the town was closed. 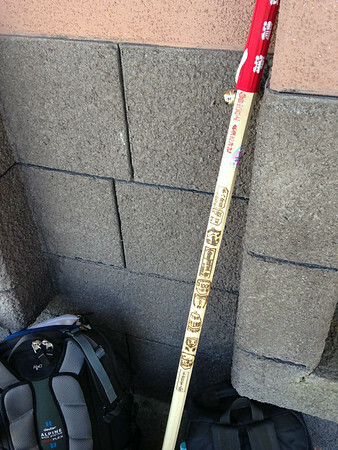 After walking around the town for a bit, I got bored and sat down on a bench next to the train station. My train wouldn’t be arriving for some time but it was really neat watching ex-patriots and locals greeting and chatting with one another. When I returned, people often asked me why I would push myself to do something so challenging. I don’t have a specific answer for them other than the fact that I knew I wanted to do it and that it would be something for me to learn from and to push the boundaries of my comfort level. 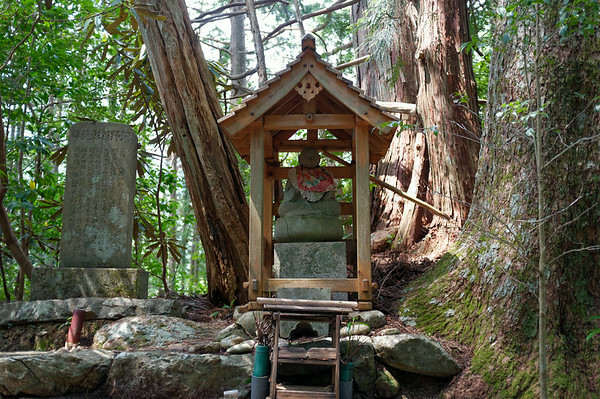 I had researched and read about the Kumano Kodo ahead of time and would often encounter blog posts about 2 or 3 day treks — if I had the time, I would tackle the longest route but perhaps that will be something for me to do in the future. Maybe just not in the summer when it is extremely hot and humid. 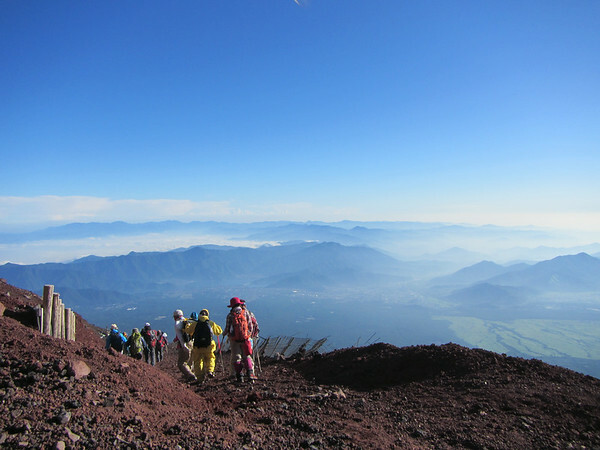 This time around, it was worth it because I also had the opportunity to hike Fuji-san. 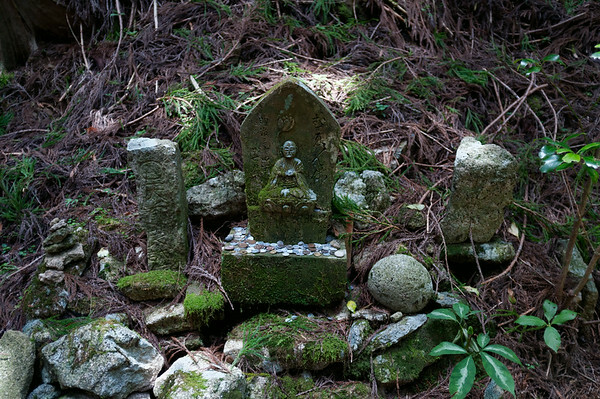 You may also want to take a look at the full Kumano Kodo photo gallery. 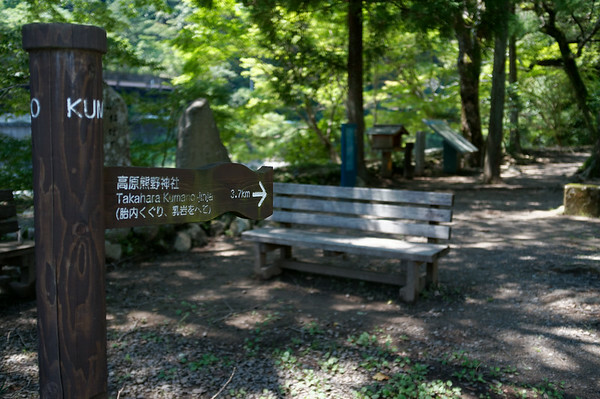 Sometimes, following the Kumano Kodo signs is a bit challenging with some signs in English and others in Japanese Kanji. 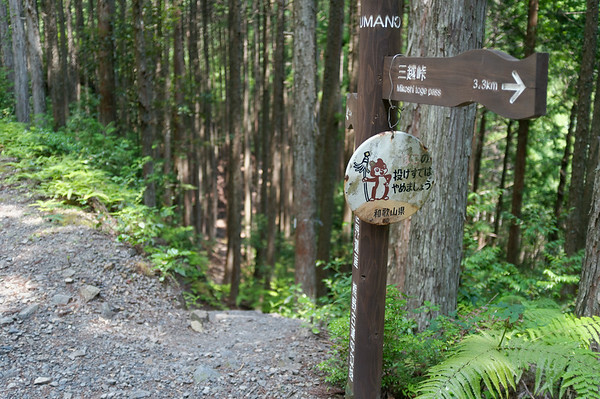 I’d often find myself going in the wrong direction but eventually I found my way after staring at the handy map I picked up from the visitor center at the start of the pilgrimage trail. After a solid night’s rest, waking up early was an easy thing to do. I left before Steven and Michelle, the couple from New York that I met earlier, but I figured I’d probably run into them later in the day. 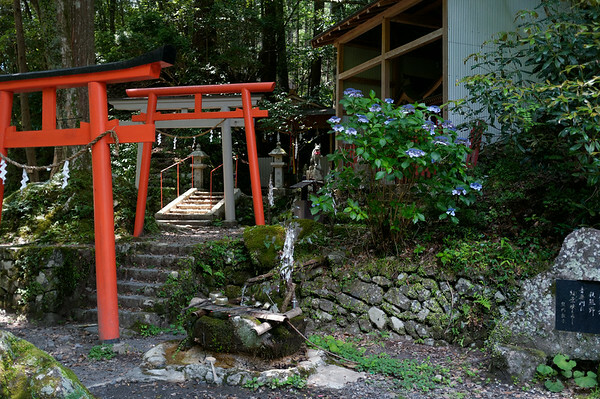 I felt pretty good and refreshed despite the challenging first day on the Kumano Kodo and was ready to hike up more mountains. 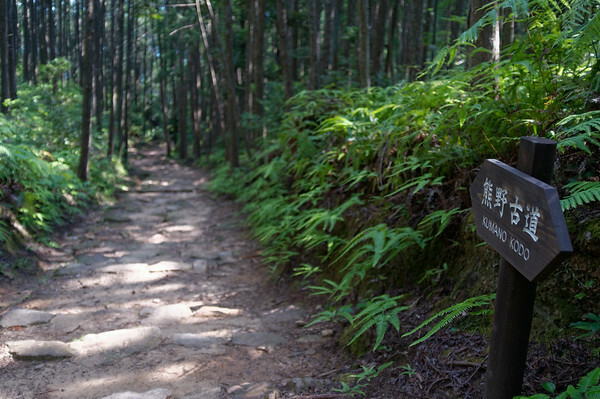 Sometimes, following the Kumano Kodo signs is a bit challenging with some signs in English and others in Japanese Kanji. 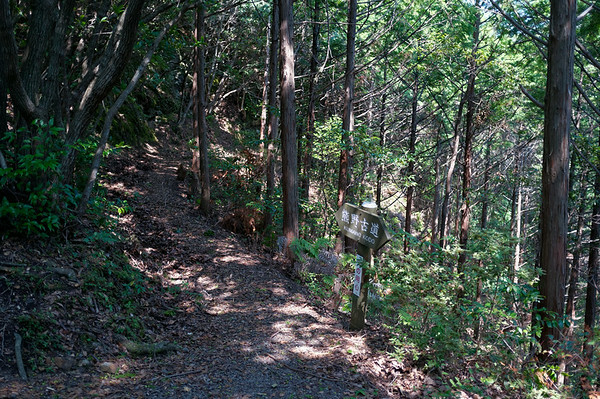 I’d often find myself going in the wrong direction but eventually I found my way after staring at the handy map I picked up from the visitor center at the start of the pilgrimage trail. 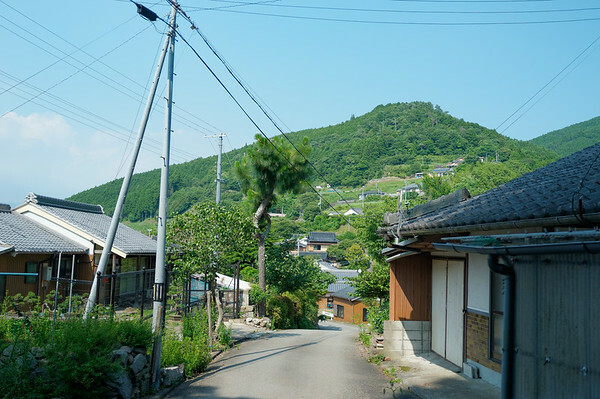 I really liked the village of Takahara. 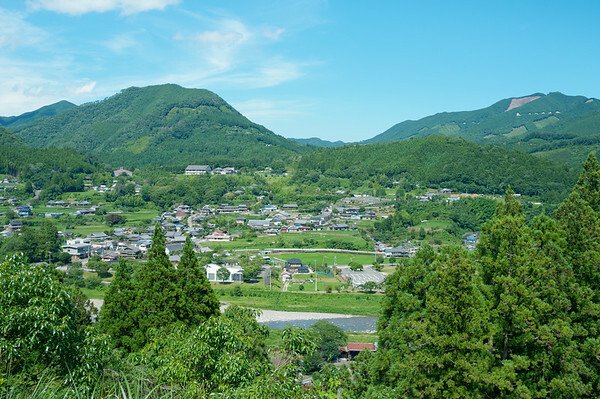 I had the opportunity to see more of the village’s quaintness as the trail took me through the village along narrow stone paths, rice fields overlooking the surrounding mountains, and local school grounds. I really enjoy the diversity of what I had encountered along the trail. 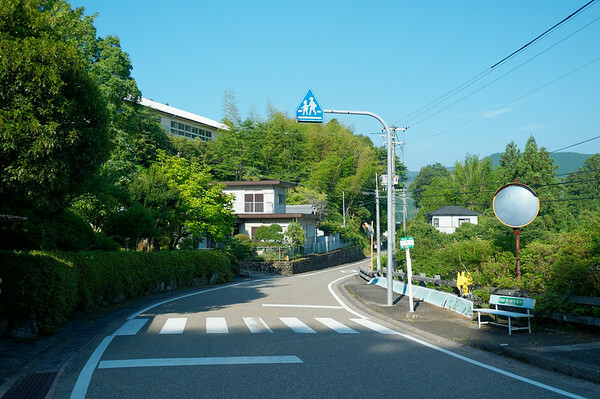 It eventually took me past the local school and its neighbouring residents. There were quite a few ‘konnichiwa’s exchanged as I passed by the folks who were already up and working early in the day. Given the pretty brutal summer heat, I’m not surprised that people would want to get things done before sunrise. 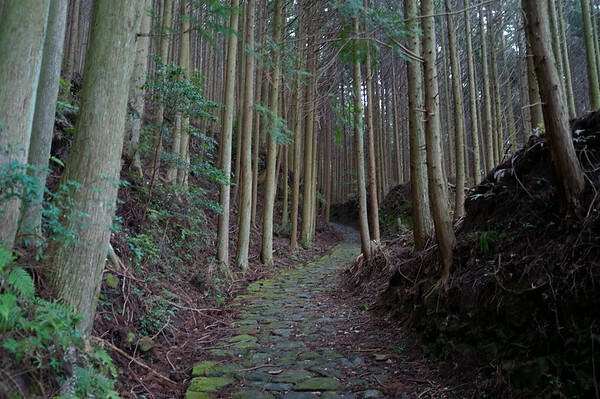 I made my way out of the village of Takahara and on to the wooded path. 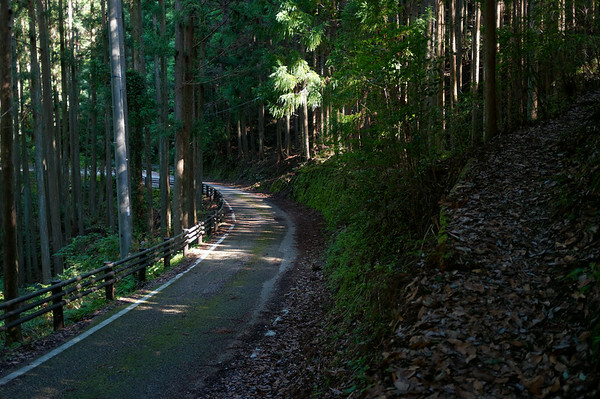 These parts of the trail are a few of my favourites along the Kumano Kodo. 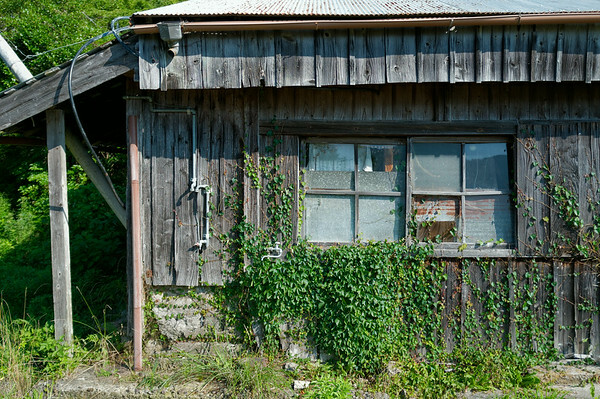 I figure the dilapidated structures that I’ve encountered along the way must be tied to the damage from past typhoons or storms but I am surprised that these structures are left alone to decay. Are they not dangerous? They are nonetheless an impressive sight. 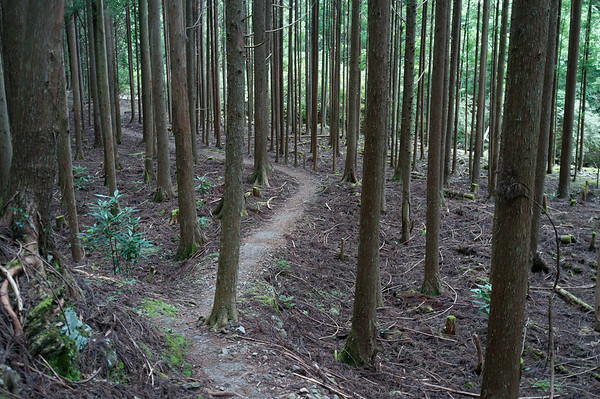 The wooded forest is an entirely different story. 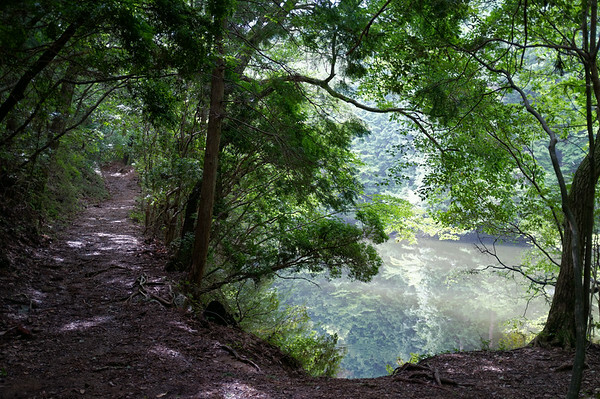 There is something magical about the trail from the tranquil ponds to the stone path laid through the woods despite the fact that there is some trail maintenance that obviously takes place. 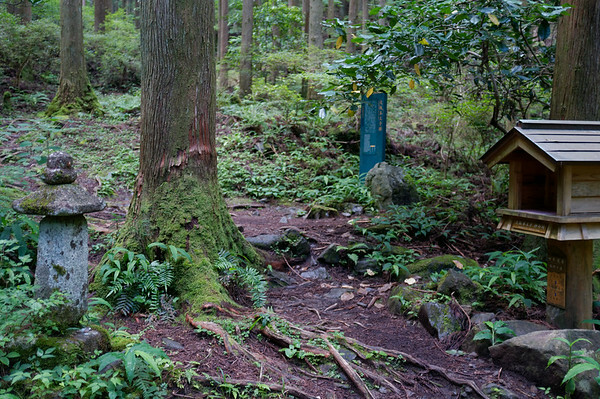 A trail can’t be hundreds of years old — let alone a thousand — and not experience overgrowth without folks to maintain it. I do wonder how old the stones are though. Today’s hike was not as tough as yesterday’s considering that it was a significantly easier climb. It also helped a lot that it was an overcast day for the most of the morning and the trail taking us through the mountain exposed us to a very nice consistently cool breeze. Through out this hike, my mind drifted back and forth and I sometimes a part of me would wonder if it’d be more fun to experience the journey with my friends. Unfortunately none of them were able to join me for this trek and though I wished that they were able to participate — after a while, I realized that tackling this trail on my own was a part of the mental challenge in this pilgrimage. Consider it a spiritual journey — sometimes we just need to go through a series of challenges on our own and one of those challenges was traversing through an unknown place alone. 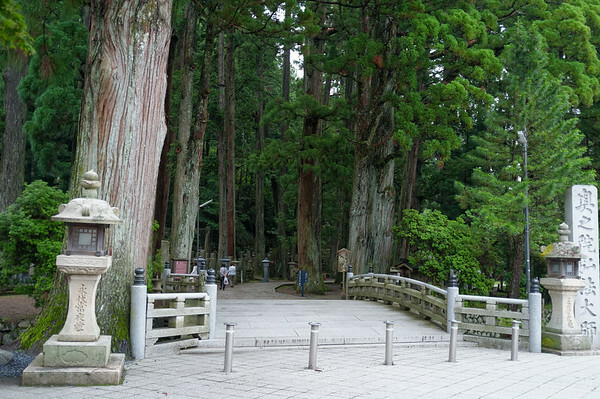 A part of the reason why I enjoyed the Kumano Kodo so much was the historical nature of the route itself, and along that route there would often be signs explaining the significance of a particular location. 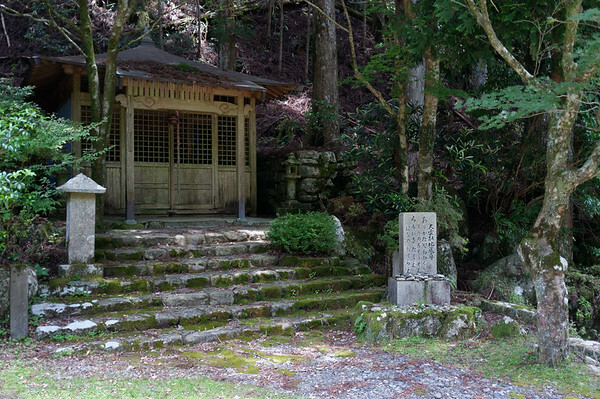 There would very often be signs in Japanese and English and although the signs in English were very brief — I was very grateful that I could at least gain an appreciation of the location’s significance. 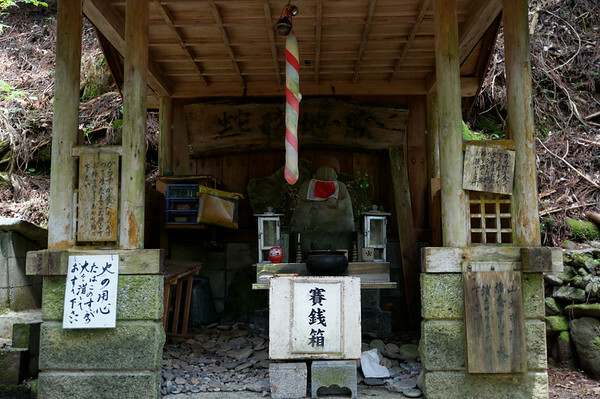 I ended up passing by a number of fascinating spots where an old tea house used to exist or where someone’s home used to stand. 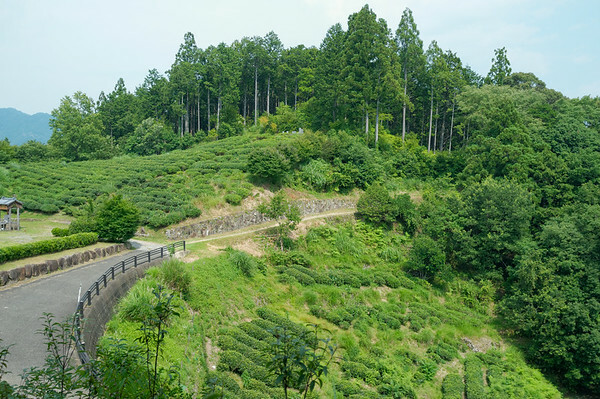 Considering that a tea house use to sit in certain places, I wondered how much traffic would actually pass through these routes. Eventually, I began an extended descent that led me into a section of the trail where the surroundings were dramatically different than what I had experienced before. 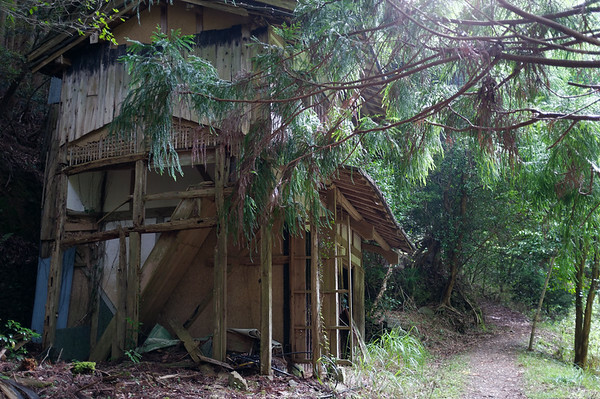 It seemed as if this were a temperate zone — almost rain forest-like — and I found myself encountering all sorts of interesting insects I had never seen before, in addition to constantly running into spider webs. I even spotted some small crabs which puzzled me. Crabs in the forest? 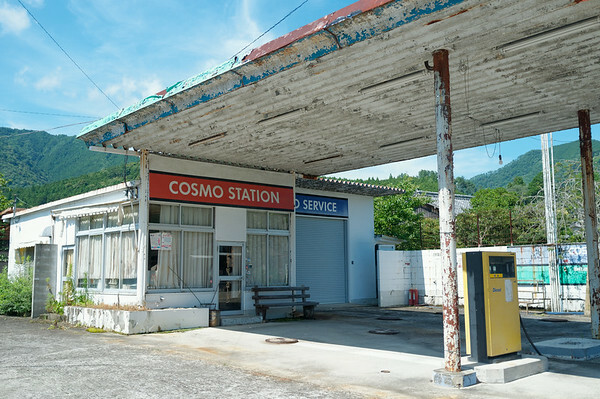 After making my way through the very diverse and pretty area (and being chased by many mosquitoes), I came across a road station. 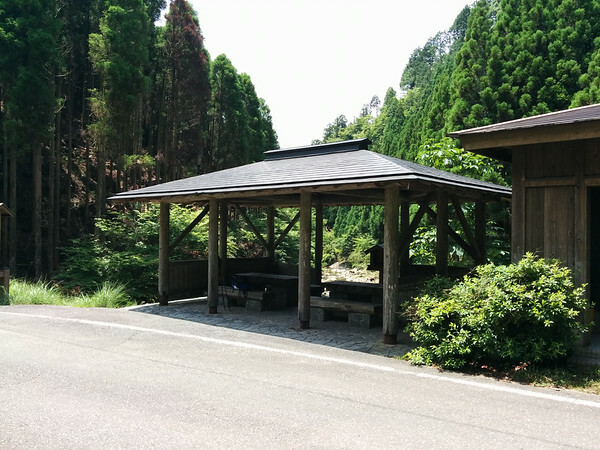 This was an excellent place to stop and have lunch so I crossed the road to the road station / rest area and took my place on the benches in the shade. 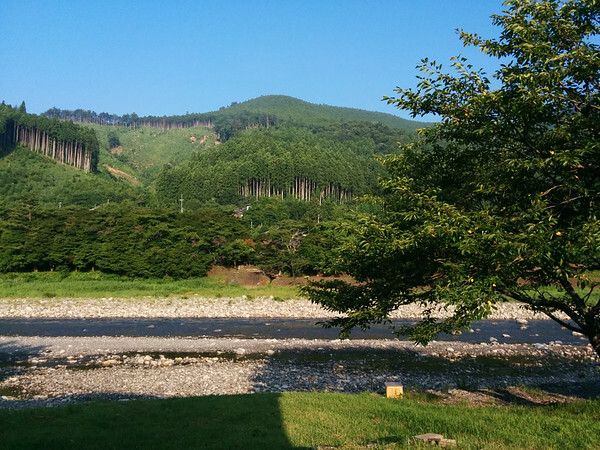 I had a lot of time to spare before my check-in time for the guesthouse I was staying at in the village of Chikatsuyu so I ended up chilling out for a while. In fact, I had even tried out a couple of different flavours of iced tea and then ran into Steven and Michelle just as I was about to continue the trek. 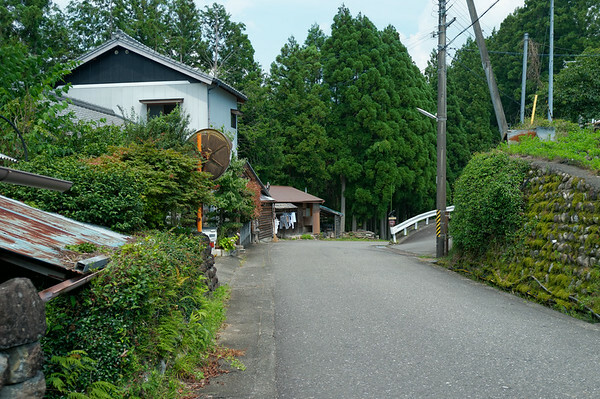 Once Steven and Michelle finished off their lunch and had their share of rest, we continued towards the village of Chikatsuyu. 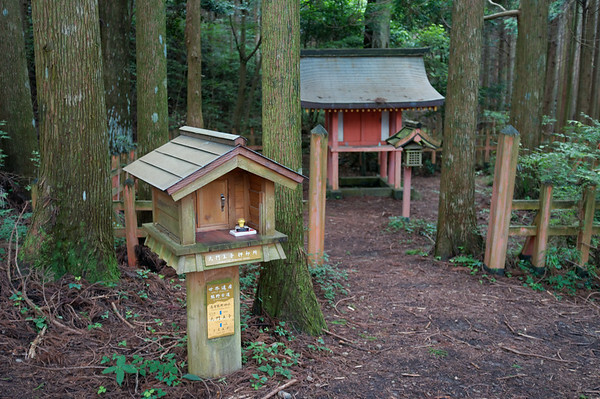 On the way, we came across a number of shrines including Gyuba-doji (gyuba means cow and horse). Apparently, the statue is of the 10th century Emperor Kazan and its location is where a copy of a sutra he had created had been buried. I imagine the sutra may have been removed for preservation purposes but simply even to imagine the historical significance in terms of the span of time that has passed for the ground below the statue is pretty incredible. 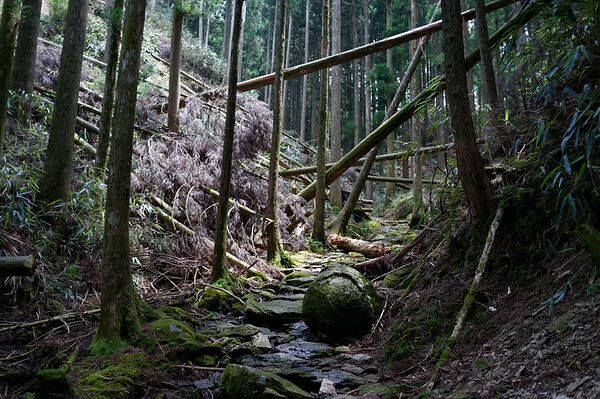 We made our way further on to the trail until it led us out of the forest and into the village of Chikatsuyu. At this point of the day, the sun was blazing and we were sweating buckets just like yesterday. 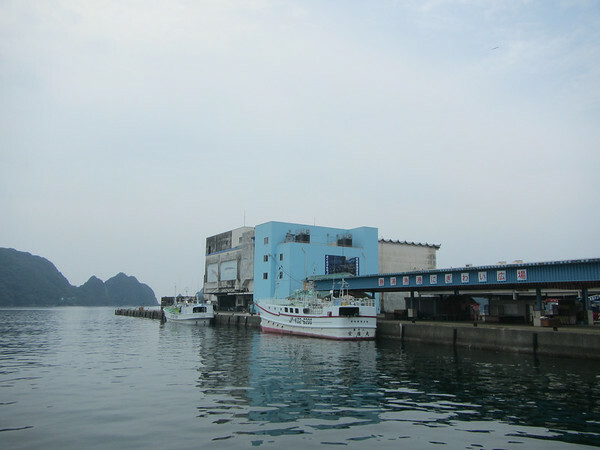 Walking into Chikatsuyu, all seemed really quiet, almost desolate in some sense though I guess most people may have been staying indoors. There was still plenty of time before I had to check into the guesthouse so I followed Steven and Michelle further up main street until I wished them well and we parted ways. They still had a few kilometres to hike because they were staying in the next town. 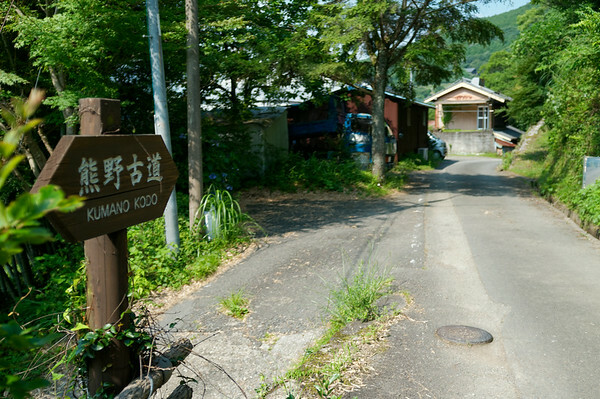 It’s unfortunate I didn’t have a chance to keep in touch with them but we figured that I’d likely run into them during tomorrow’s hike since we would be catching the same bus to the town of Yunomine Onsen. 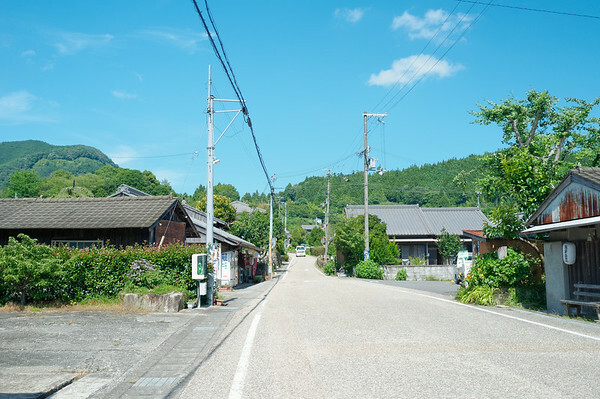 My map to Minshuku Chikatsuyu was a little puzzling so I was walking back and forth on their “main street” until I finally figured out the right side road to take. 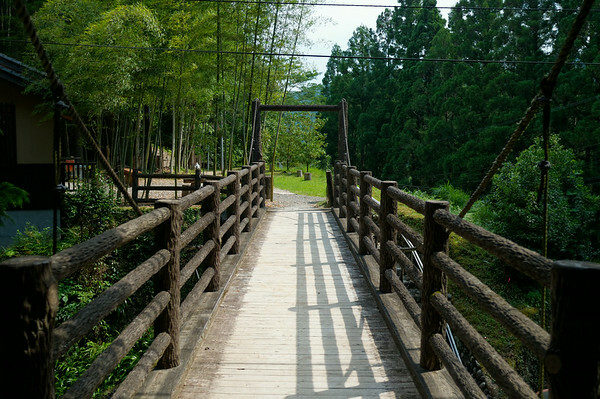 The scenery around the guesthouse was simply brilliant and was located right beside the river that cut through the village. 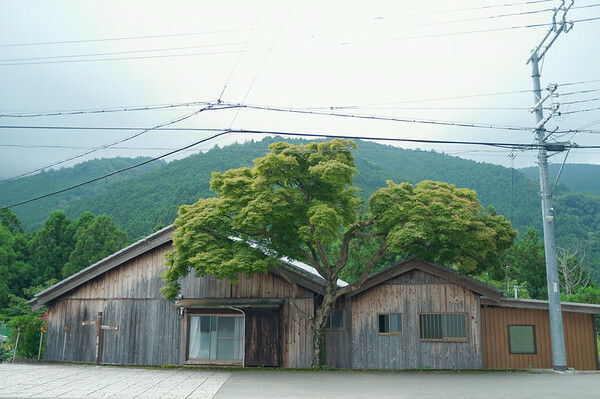 There were a lot of farms in the area so it made for a very tranquil place to stay. 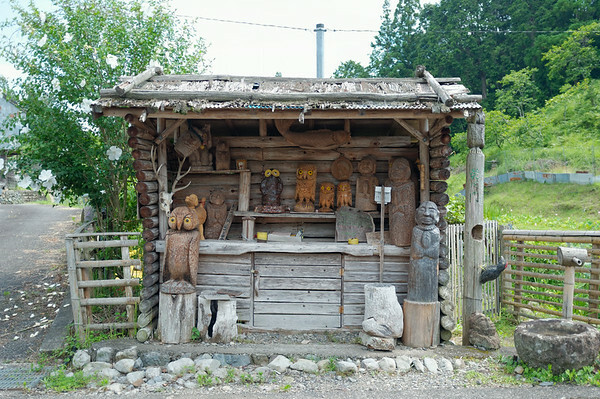 When I stepped into the Minshuku Chikatsuyu, the owner himself had initially stepped out so it appeared that I was speaking with his wife (or at least trying to). She took me to my room and indicated to me to wait and eventually a young man showed up to speak with me (I think he was their son) to show me around the guesthouse. Staying at this guesthouse was one of my most memorable experiences. I was the only person staying there! The guesthouse was simple but elegant, the food was simply amazing, and the owner was such a kind gentleman. 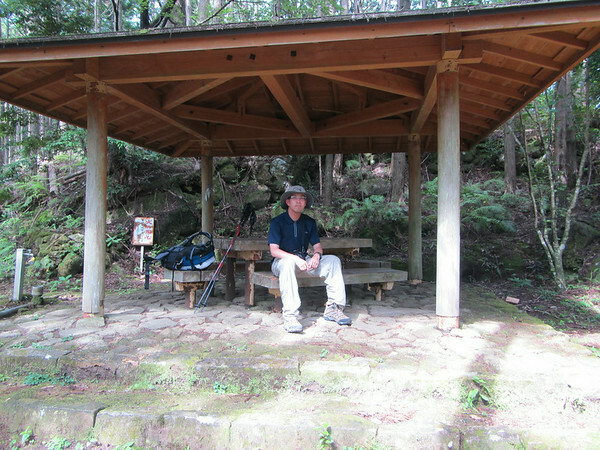 He offered me all sorts of guidance and advice for tackling tomorrow’s very long hike (27km). I really appreciated his assistance and his knowledge was quite extensive. After the excellent meal and some enjoyable conversation, I retired to get to sleep as early as possible because the next day would be a very early start! Eventually I stepped off the bus into the middle of town. 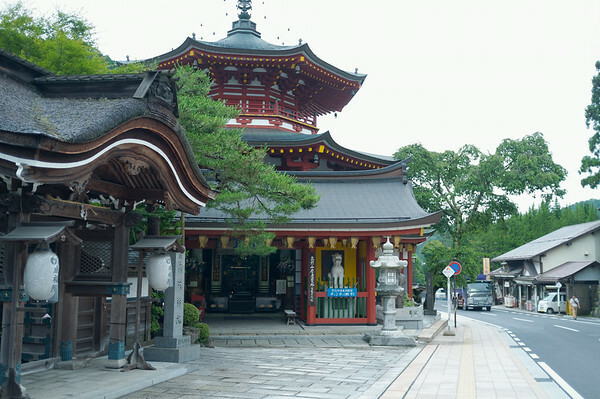 It was quite bit cooler than it was in the city — no wonder why everyone kept thinking ofThe architecture and detailed designs of the temples and small buildings along the main street amazed me. 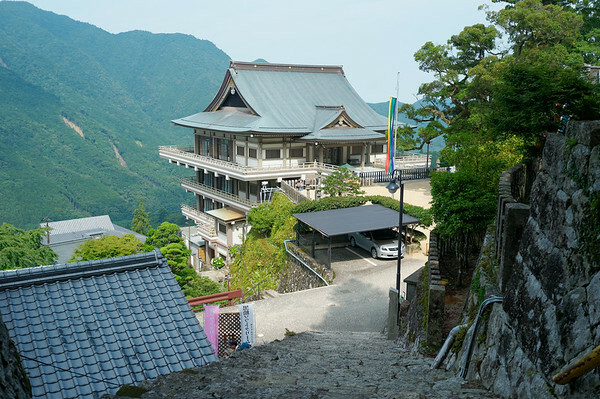 I think I just stood there looking around for a while before I began walking back and forth along the main street of the town looking for the monastery that I would be staying at for one night before I began the Kumano Kodo trek. 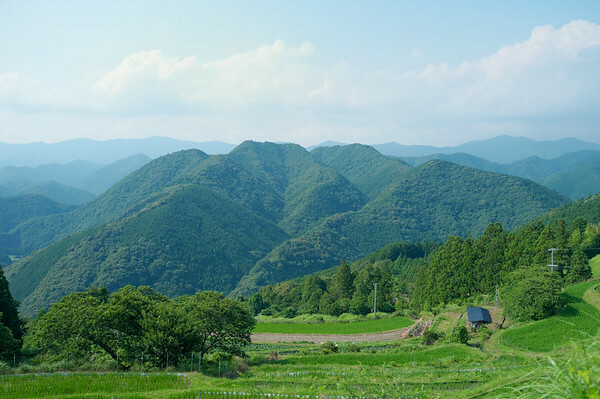 Arriving in Japan this past summer in July, I had already anticipated a very humid and hot experience. 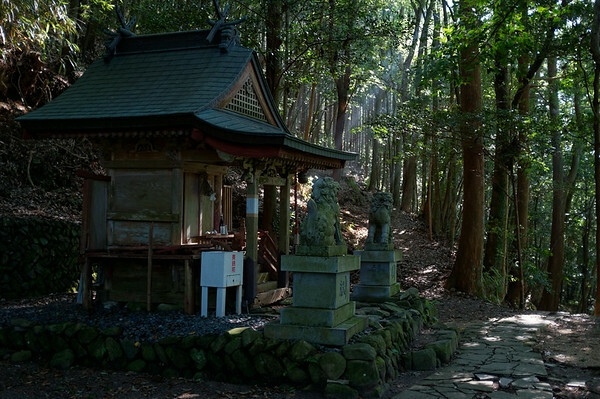 After spending a couple of days in Osaka visiting an old friend, I made my way to Koya-san (Mount Koya). It was a pleasant break away from the hot and humid city where I felt like I was roasting in an oven. I was very fortunate to have my friend who was familiar with interpreting the local transit rail lines. 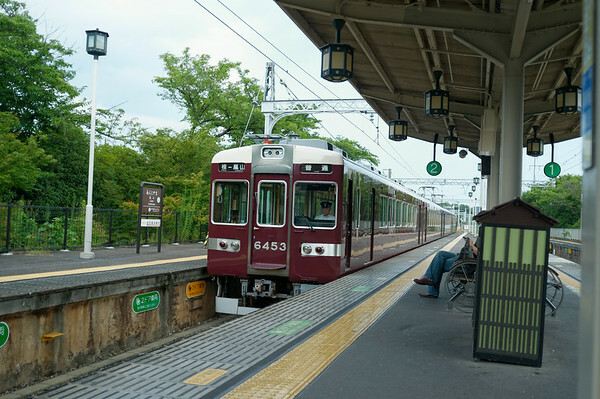 For someone who had learned very basic Hiragana and Katagana — I found that figuring out the right trains to take and their schedules to be quite challenging. Thankfully despite the obstacles, I met so many friendly local Japanese people who were willing to assist me and point me in the right direction (or on to the right train!). Though the navigational understanding of the train system is a bit challenging, I was immediately taken with the efficiency. I never encountered any delays. 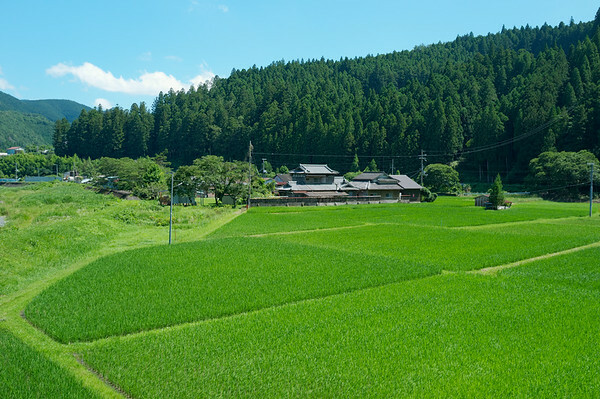 The trip to Mount Koya involved a long train ride to Gokurakubashi Station but it was worth having the opportunity to see the landscape evolve from a highly dense urban environment into the lush green country side. 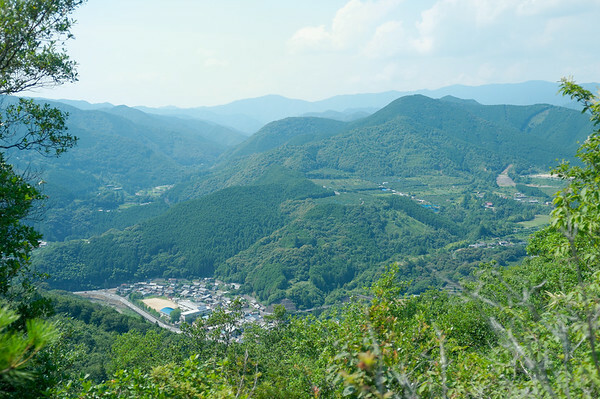 I was surprised to see how untouched much of the mountainous regions were. 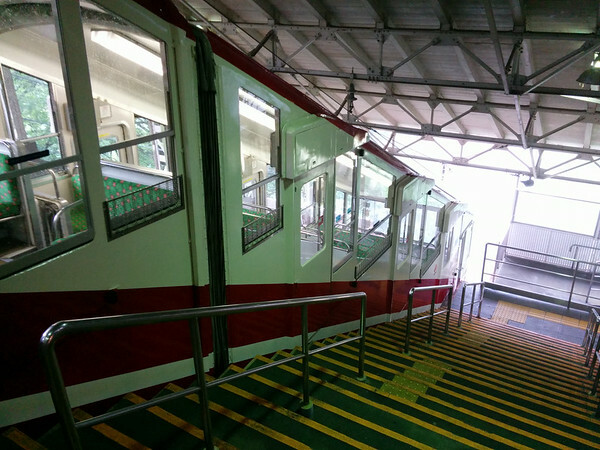 After reaching Gokurakubashi Station (it is literally at the end of the line), I ended up hopping on to a cable car that took a handful of visitors up to Koya-san. 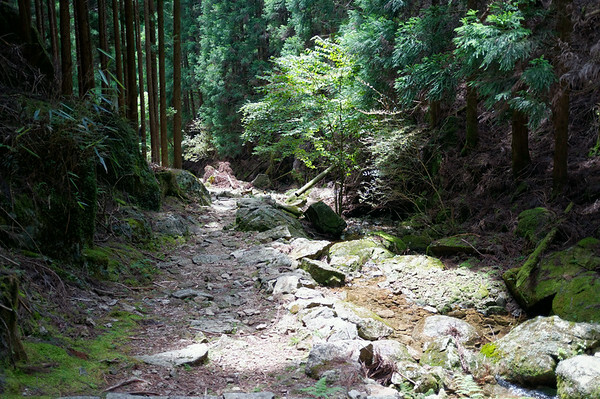 It took very little time to climb the mountain and soon afterwards, we would hop on to a bus to reach the town centre of Koya-san. 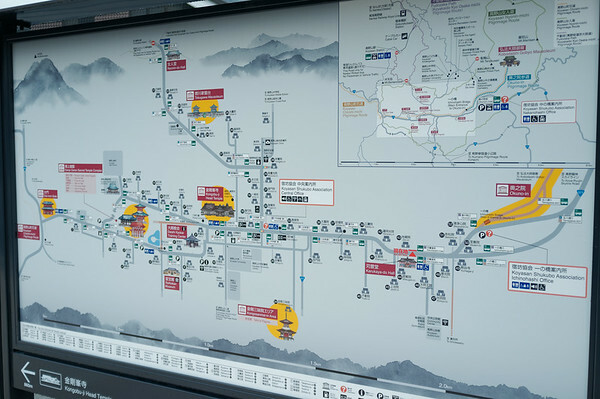 The buses were also a bit of a challenge for me too given that they primarily identified stops in Japanese and payment for bus fare was also tricky for foreigners. There is a specific slot for exact fare, and a slot to obtain change — which I often mixed up. Fortunately the bus drivers were very patient with my inability to follow instructions! Eventually I stepped off the bus into the middle of town. 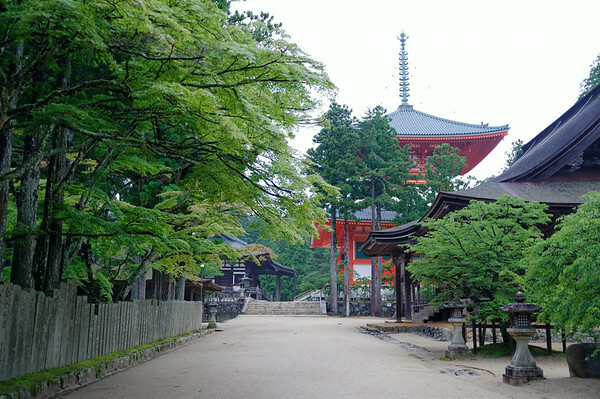 It was quite bit cooler than it was in the city — no wonder why everyone kept thinking of The architecture and detailed designs of the temples and small buildings along the main street amazed me. 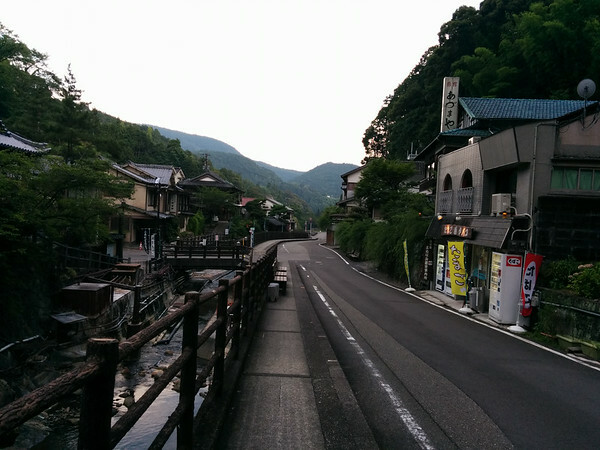 I think I just stood there looking around for a while before I began walking back and forth along the main street of the town looking for the monastery that I would be staying at for one night before I began the Kumano Kodo trek. 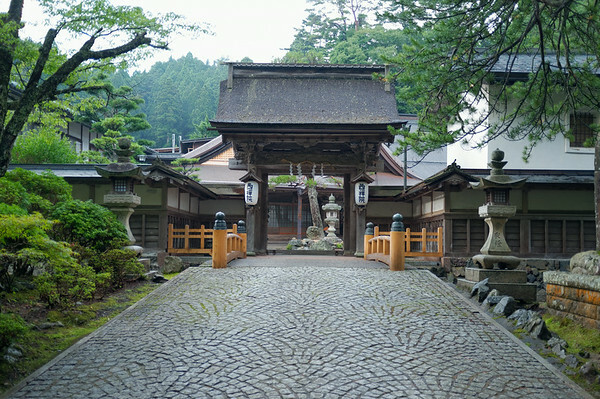 Eventually I saw an opportunity to visit Okuno-in before I made my way to the monastery. 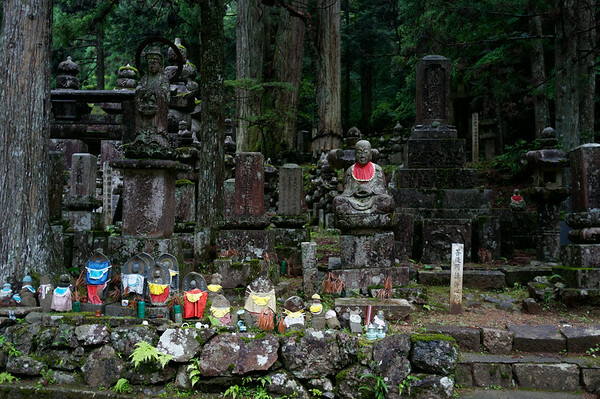 As I approached this ancient cemetery, I saw buses full of tourists. 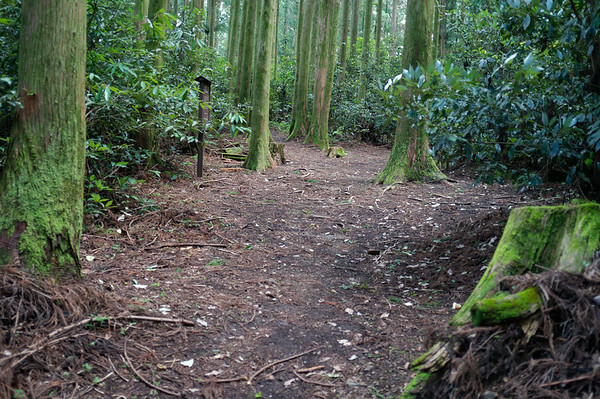 This was a hauntingly beautiful path that people often used for larger hiking and trekking route. 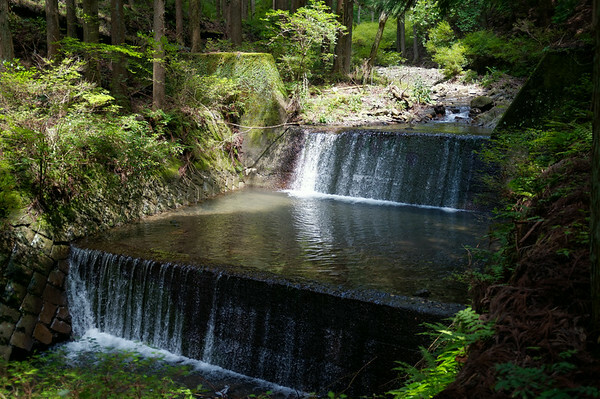 It was unfortunately also a major breeding ground for mosquitoes and I was immediately gifted with a few itchy bites as I stopped to take some photographs. 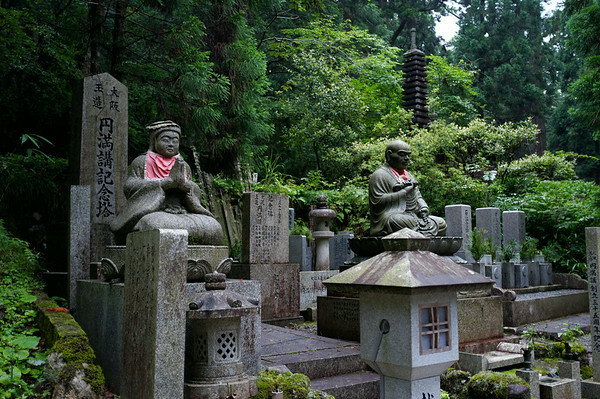 Some of the most fascinating parts of the Okuno-in cemetery are the jizo statues that are lined all along different tombstones or even just the path. 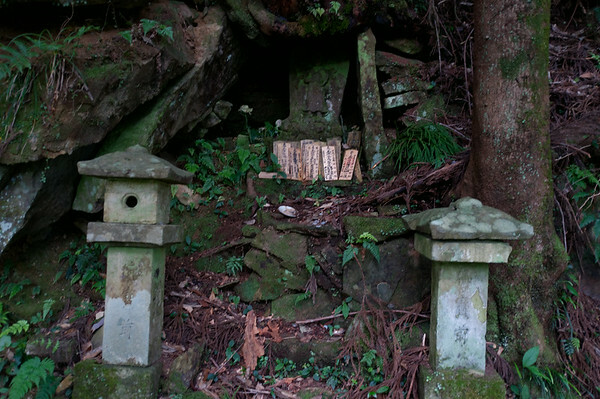 They are supposed to watch over people and people often leave a form of tribute. 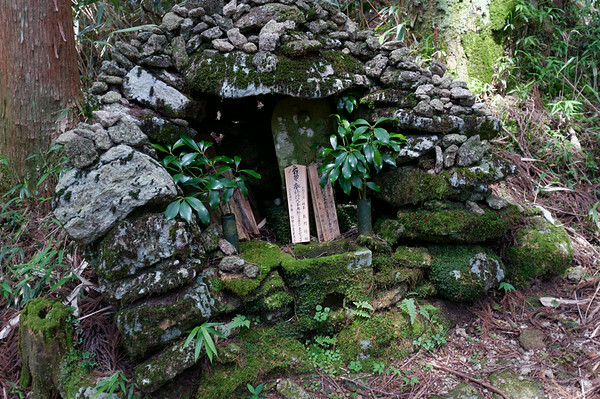 I eventually found them throughout the Kumano Kodo trail as well. 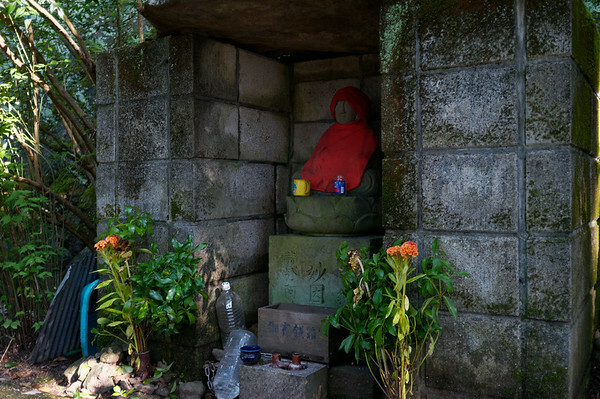 I was uncertain about why the jizo statues were decorated in certain situations but it was nonetheless beautiful to see the practice in person. 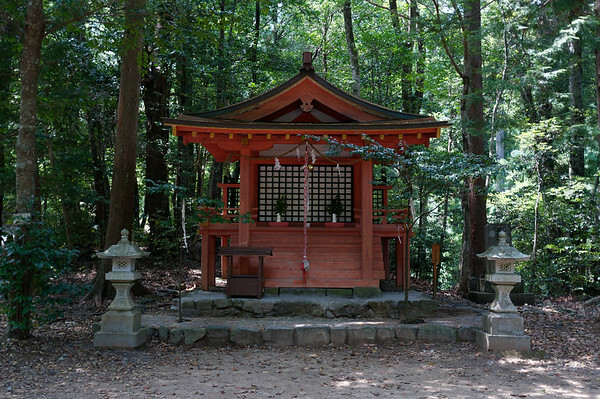 After spending time immersed in Okuno-in, I reluctantly left the ancient grounds to see the temples in the area. 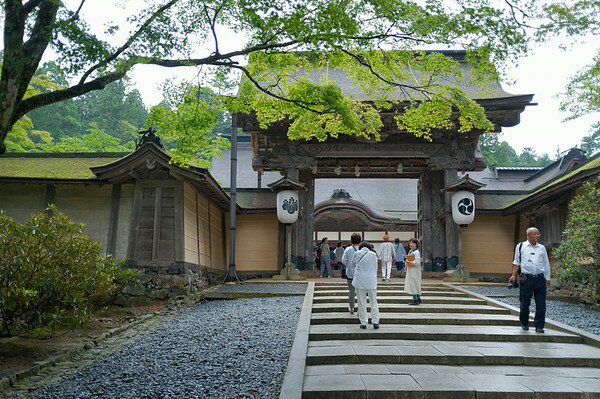 The temples were often filled with visitors, tourists, and people so I would only drop by and take a look around before moving on to the next temple. 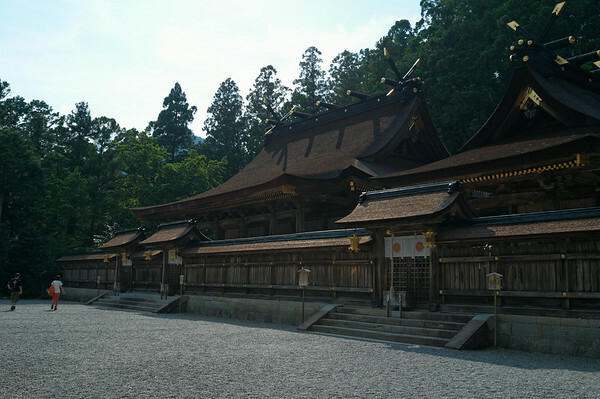 Kongōbu-ji in particular was very busy, but I believe it is the main temple in the area. 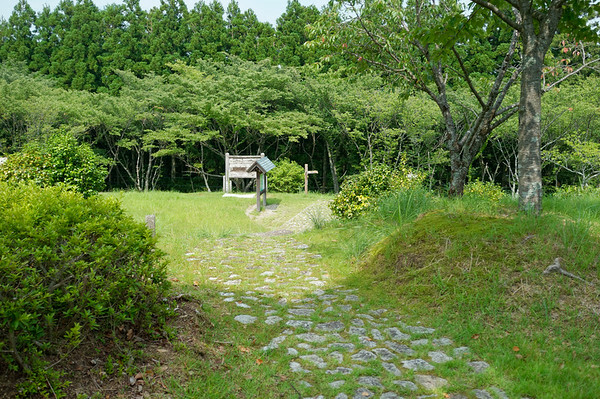 Eventually I’d make my way ahead of the crowds and enjoy some tranquil moments wandering around the larger structures in the sacred area like Danjo-Garan. 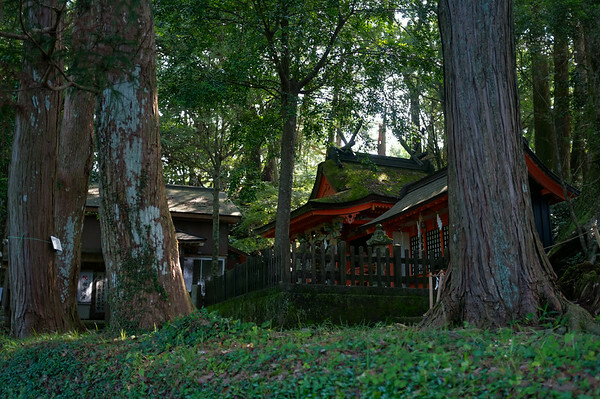 Personally speaking, as much as I was impressed by the size of other structures, I preferred the earth-like nature and feel of Kongōbu-ji. 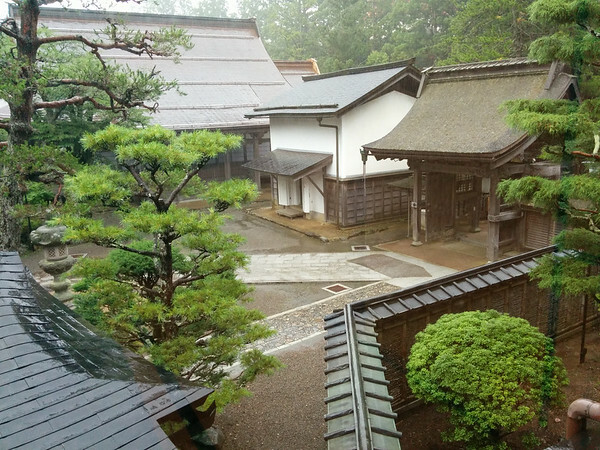 Whilst walking around in awe of the natural beauty of the area and the structures built within the environment — heavy rainfall began and I quickly walked to Saizenin where I was staying. I wasn’t sure where I would be staying but when I first saw the entrance, I questioned whether I was walking into the right place! Fortunately I was and I was immediately greeted by a very kind woman who offered me shelter from the rain as well as a towel to dry myself off. After signing into the monastery, I was led to my room and wow, I was impressed. I thought it would be rather tranquil but plain. 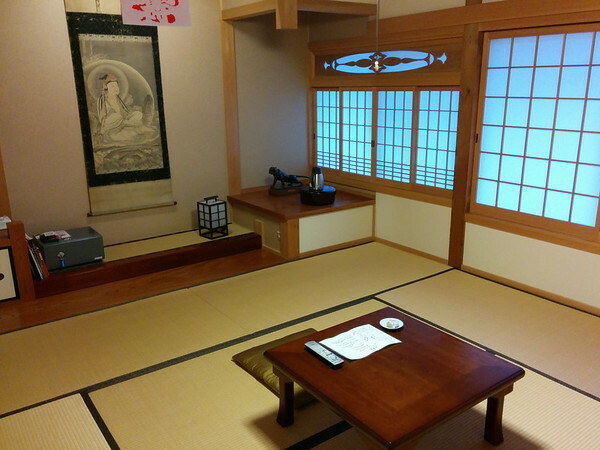 Instead it turned out to be elegantly designed but minimalist room with tatami flooring. I was informed when dinner would take place and at what times the baths would be open so I decided to rest a little given I was still a little jet lagged from just arriving in Japan two days prior. When the rain stopped, I decided to step out before dinner time to see a bit more of the area nearby. 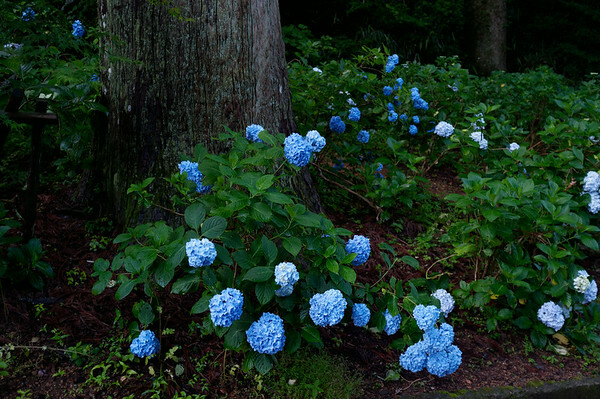 This led me towards the Daimon Gate and some of the bluest flowers I’ve ever encountered. Moments later, a monk arrived and arranged my dinner and indicated to me that it was best to be seated towards the window and enjoying the view when eating dinner. As anticipated, this was a vegetarian meal and there was interesting mix of dishes composed of vegetables, broth, rice, tofu, as well as some fruit. 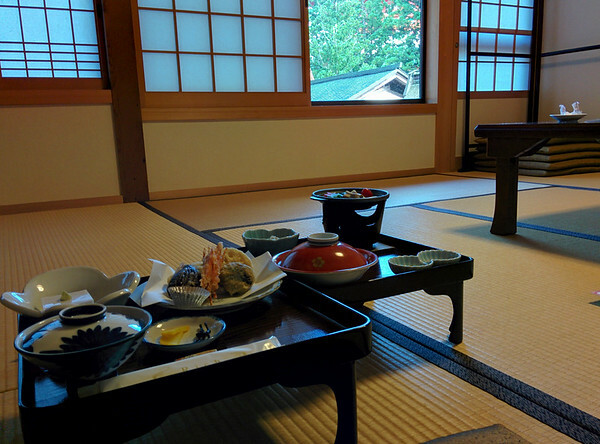 After dinner, they removed the dishes and tray and immediately set up the traditional futon (kakebuton) which was very comfortable. 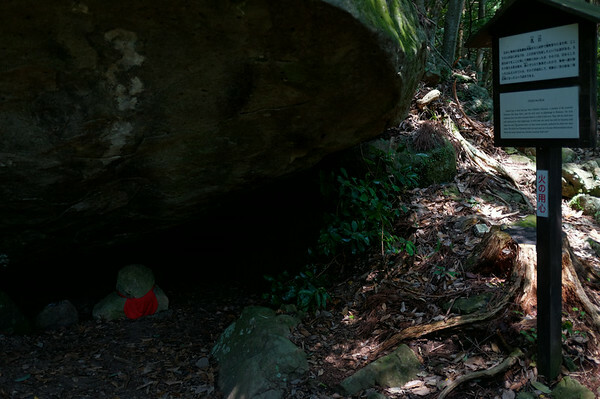 More comfortable than my standard camping mat, I was grateful to have the opportunity to have a restful sleep in the cool environment before making my way to Takijiri where I would begin my Kumano Kodo trek. The next morning, I woke up early to join the other folks staying overnight at the monastery to partake in the morning chant ceremony. I didn’t fully understand what was taking place but the room was beautiful and the ceremony and the rhythms of the chant very fascinating. At a certain point, the folks including myself — one by one — were invited to participate (which I believe may be to perform a small ritual involving our own prayers). 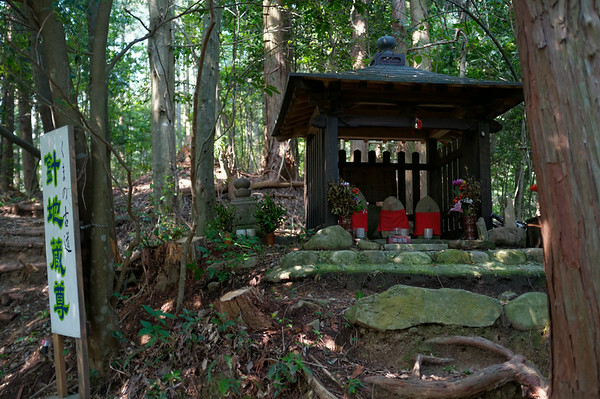 After the morning chant, we were served a traditional breakfast and then I proceeded to pack up and make my way to begin my Kumano Kodo pilgrimage trek. More on this later! 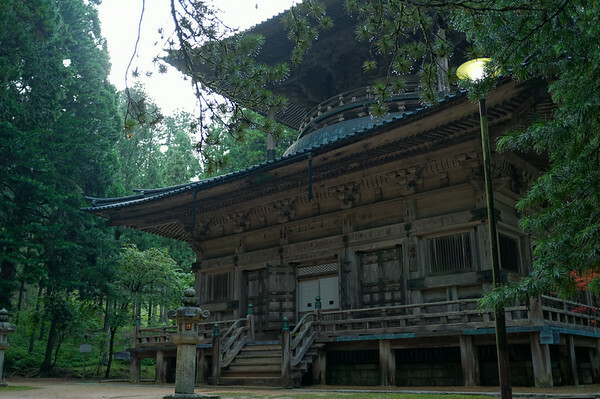 Author Ehren CheungPosted on December 26, 2014 March 31, 2018 Categories UncategorizedTags japan, koya-san, monastery, mount koya, okuno-in, templesLeave a comment on Off to Koya-san! 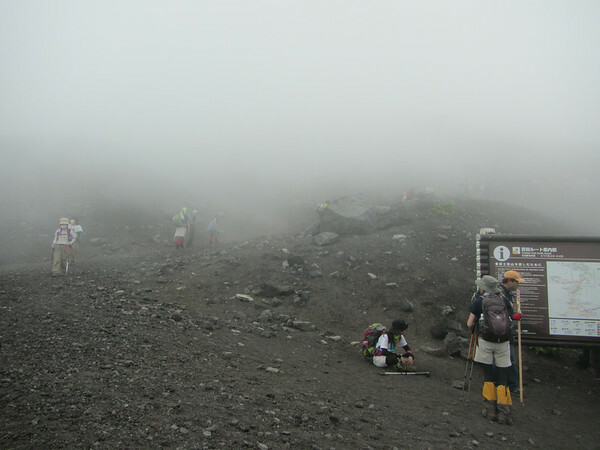 According to the official guide for climbing Mount Fuji, hiking Mount Fuji apparently for majority of people is only an option during the months of July and August when weather is a little more stable and the huts are in operation. 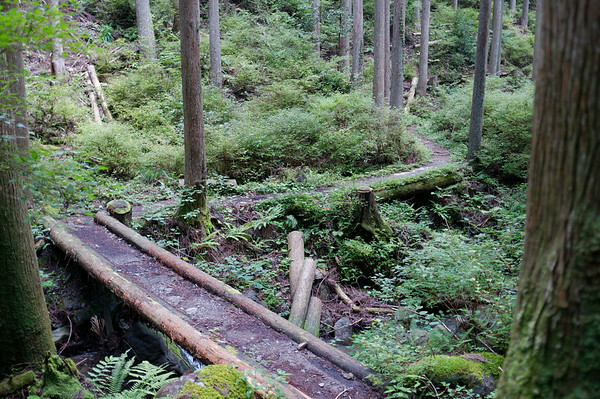 The trails up the mountain are considered closed for the remainder of the year. This meant my travel plan had to coincide with July or August but unfortunately, they are also the hottest months to spend in Japan. Every day involved 100% humidity and a temperature of typically 35 or 36 degrees Celsius. 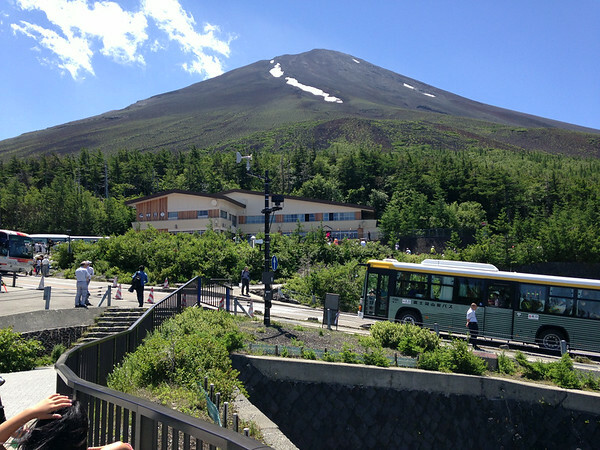 For the longest time, I’ve wanted to tackle Mount Fuji (aka. 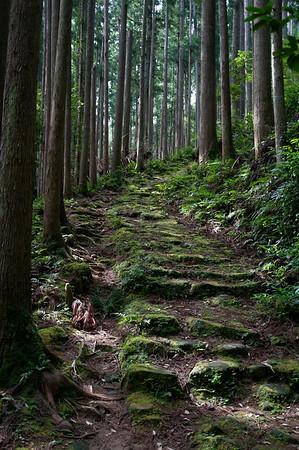 Fuji-san) and when my friend moved to Japan a few years ago, I told him that when I visited, we would do this hike! So when I finally had the opportunity visit Japan and my friends just this past July — I made sure that Fuji-san was a priority. As typical with my travels, hiking is always one of the top priorities! 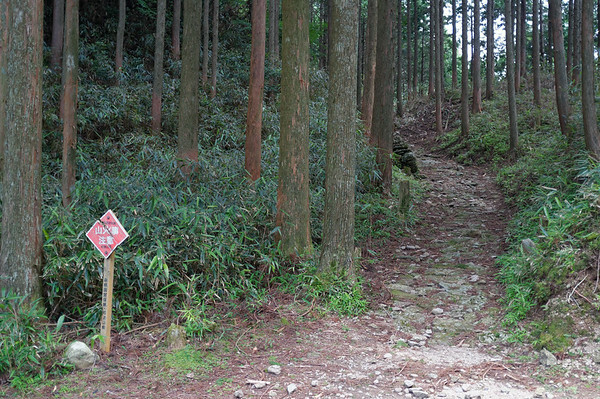 As you might imagine, this meant hiking is pretty tough in general, but I did end up trekking the Kumano Kodo (which I will post about later!). 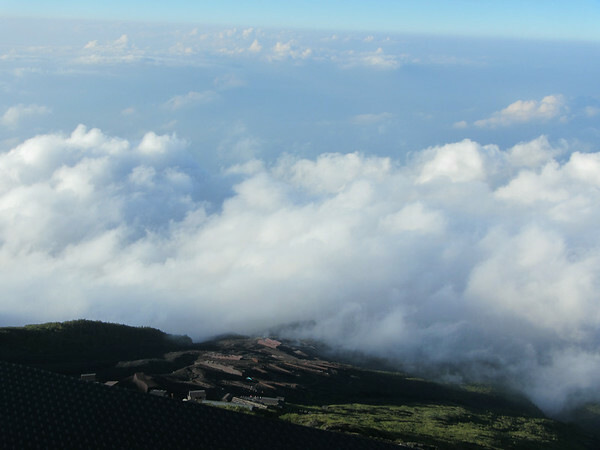 The only time I felt cool or even remotely cold in Japan was on Mount Fuji! Getting to Mount Fuji Having been staying in Osaka, my friend and I had to make our way to Tokyo via night bus (a very long ride) and then once in Tokyo, catch another bus to Fuji-Subaru Line 5th Station (this one experienced a lot of traffic jams during the day). The night bus is something to experience in itself if one hasn’t done so before! 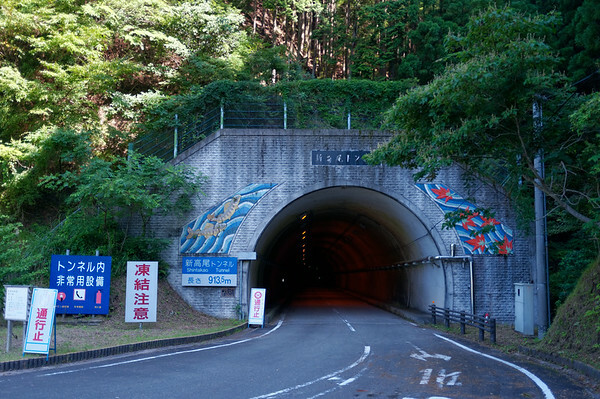 If we had chosen to take the bullet train (Shinkansen), it would cost each of us about $300. I wasn’t really willing to dish out that much so I opted to go for a more spacious night bus experience (I prefer the deluxe ones in Chile, but who wouldn’t?!). 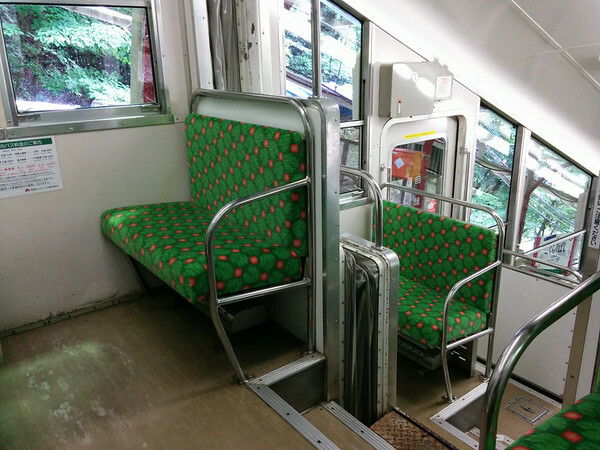 The Japanese night bus isn’t bad with curtain dividers and space between every seat but it was still cramped in my opinion and if you are sitting in the middle, you don’t get much air conditioning so it gets rather warm at times. The Plan I had heard that there was a primary route or trail that everyone used so I figured that rather than trying to find some off-the-beaten path approach, I wanted to experience what would eventually resemble a massive pilgrimage. 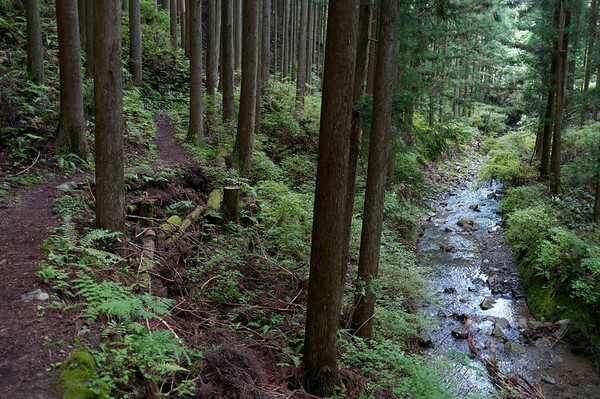 To do so, I decided that we would take the popular Yoshida trail which starts at the Fuji-Subaru 5th station. 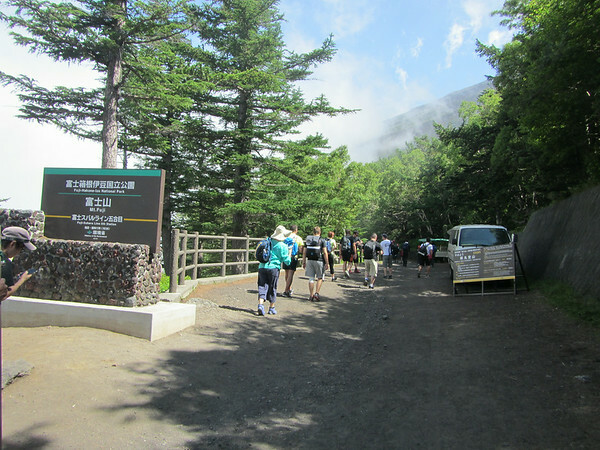 The Trail Experience As soon as we arrived at 5th station, I was amazed at how much of a tourist attraction Mount Fuji was. Of course, I had already anticipated this in my mind but seeing so many people was still surprising to me. 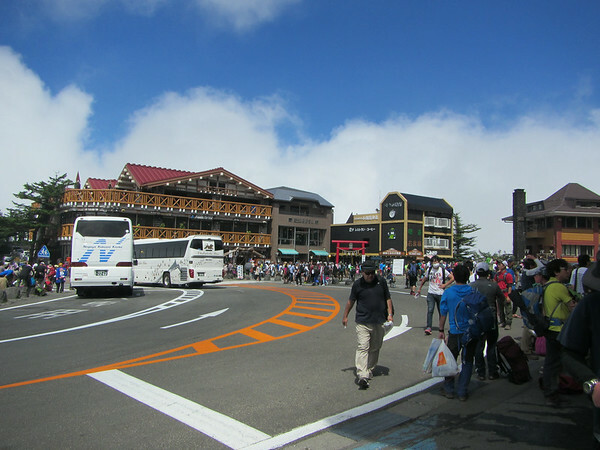 I imagine that since Mount Fuji was declared a World Heritage site, the volume of tourists must have increased dramatically. My friend and I hadn’t really had much to eat and we were attempting to save money (as you probably noticed earlier by our mode of transportation) so we quickly purchased some meat buns from a food vendor, scarfed them down and made our way to the trailhead. The trailhead was more of a lengthy dirt road that passed all the buildings. The initial part of the hike wasn’t too interesting to be honest. 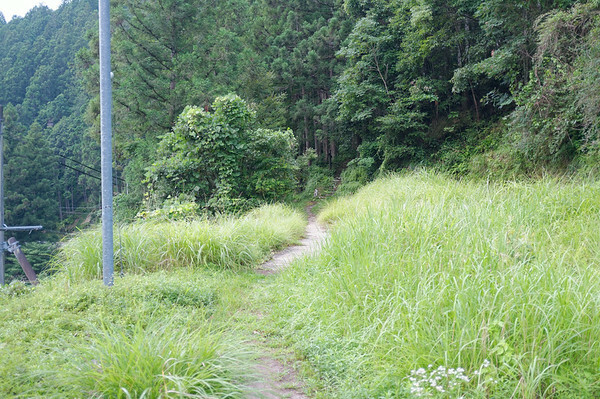 I was glad that for once in my time spent in Japan, the temperature was rather cool and I was in a situation where I was sweating profusely — but I wasn’t very keen on hiking up the loose gravel path all the way up, especially if all I could see was cloud or fog in front of me! Nevertheless, the end goal was set in my mind. Thankfully, after hiking past a lot of tourist groups of all kinds (some chanting, some singing) — all of which were very slow because they were hiking in single file and often at the speed of its slowest party member. This is an excellent thing, unless you are not a member of the group and you are forced to speed up the path of loose gravel to pass the entire group. This meant my friend and I were constantly passing groups — taking breathers — and sometimes getting passed by the groups we just sped past. Most of the time though, the groups ended up taking breathers with us which was fun. 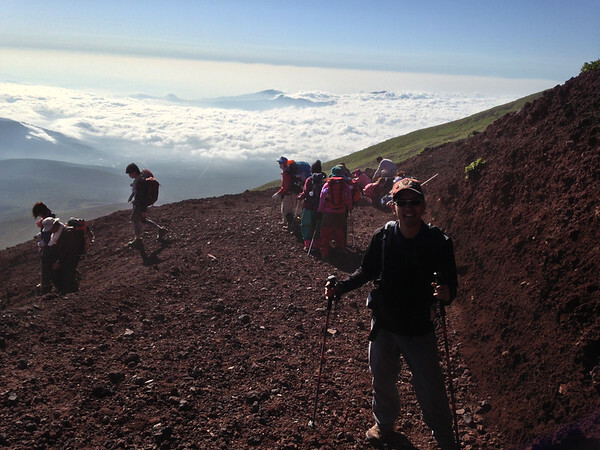 As we continued our ascent, we finally began to see the clouds dissipate. It was exciting to find that we were hiking above the fog and much of the lower lying clouds. 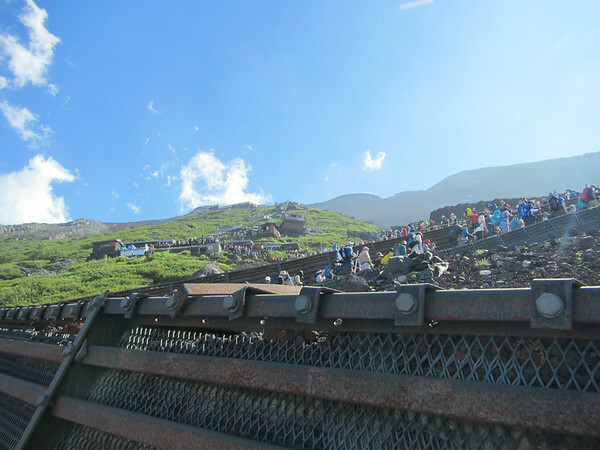 What wasn’t so exciting was the fact that we were faced with an extremely long and slow moving line all the way up the mountain. No joke, sometimes it was 5 minutes just to take a couple of steps. Unfortunately, sometimes what made the pace of the hike up Mt. Fuji even slower is the actual impatience of others. This applied to a lot of foreigners but also some local Japanese people as well. 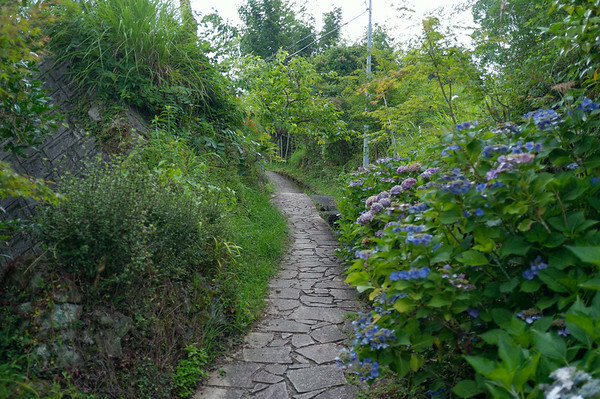 While standing in line, they will notice that they can get past a group by creating their own trail up the mountain — only to end up creating a bottleneck further in the line because there is no other real path. I’m guessing that some people are on some tight timelines! Lesson to learn: Don’t hike Mt. Fuji on a tight schedule! As we continued to make our way up Mt. Fuji — passing station after station — we began to see the sunset. It’s the first time I’ve seen a sunset from near the top of a mountain and it is quite awe inspiring, just imagining how everything becomes so dark once daylight is removed. 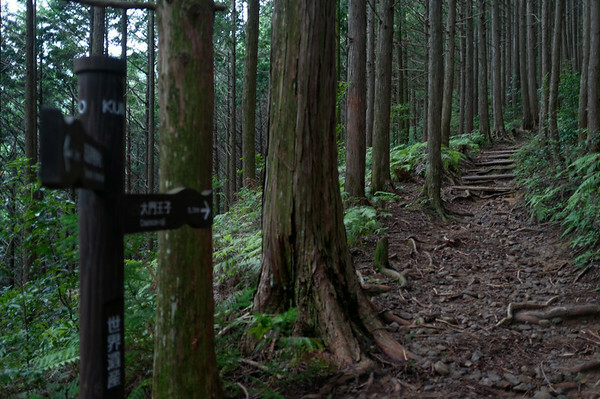 We eventually donned our headlamps and continued up the trail (slowly), working our way to Fuji-san Hotel located on 8th station along the way up to the summit. I didn’t book any accommodation because I anticipated that it was pricey, and that it would be pretty bare bones when it came to sleeping quarters — however my friend really needed a rest so I agreed to to stay. 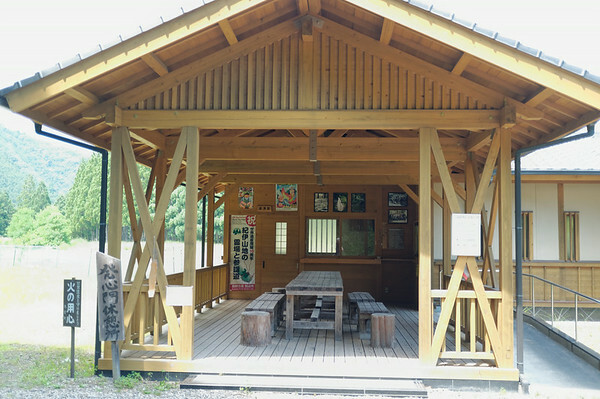 I’ve experienced a variety of mountain huts before and along the way up Fuji, I noticed that a number of the mountain huts we passed had bunk beds. 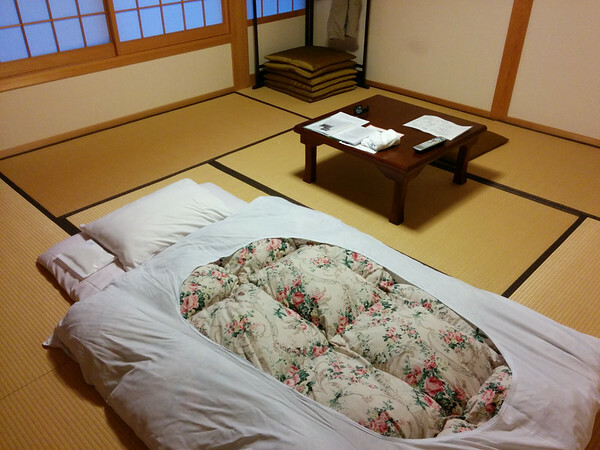 This was pretty standard so when my friend and I finally arrived at Fuji-san Hotel, I was pretty surprised to find that I would be sleeping side-by-side next to strangers (take a look at this photo – via Summer of Blake’s post on Climbing Fuji). 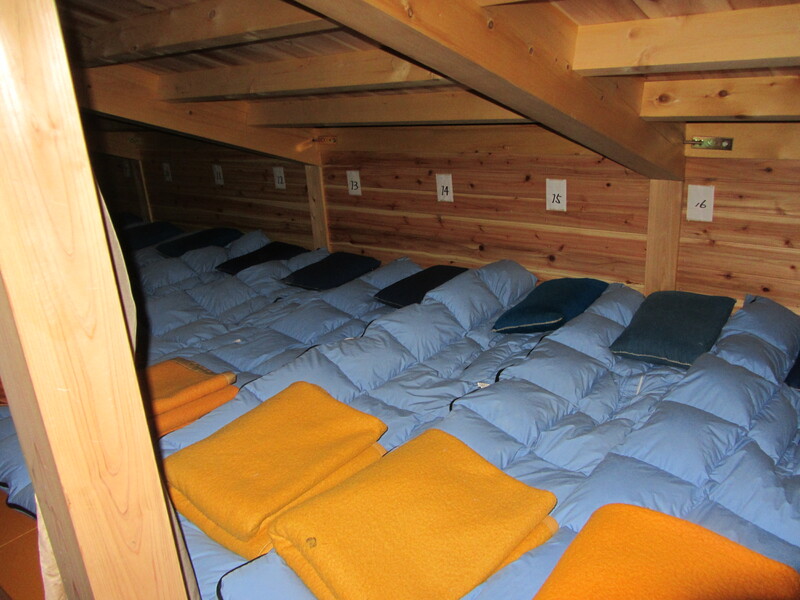 Imagine a giant bunk bed — two levels with many sleeping bags lined up next to one another. We were on the lower bunk. While I wasn’t exactly enthusiastic about sleeping literally right next to my friend and some random stranger — I was really not a happy camper when I realized the person next to me was making all sorts of weird noises! My friend apparently had some guy next to him who kept rolling into him so he decided to turn around facing me. So what that resulted in was some person to my left — who kept making weird noises (to the amusement of all the Japanese people giggling and chuckling softly, but not softly enough) — and to my right, was my friend who was sleeping on his side facing me directly. Facing the fact that I wouldn’t get any sort of peace and quiet, I decided to just sleep on my back, staring towards top bunk while listening to some form of meditation guide on my iPod. This didn’t do much good either because eventually the stranger to my left began kicking and elbowing me. I merely counted the hours until we would wake up at 2:30am to continue the hike up to the summit in time for sunrise. 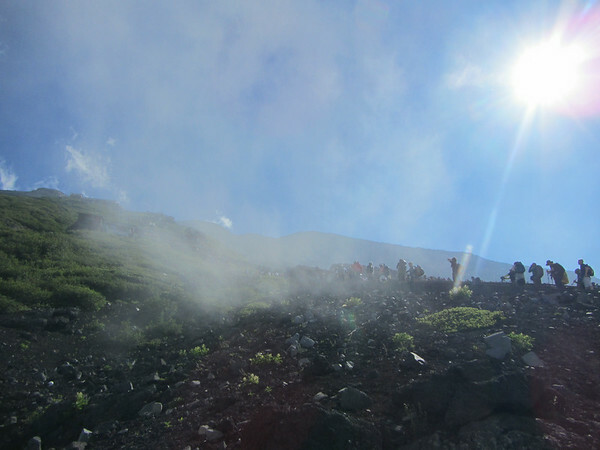 Finally out of Fuji-san Hotel, we re-joined the slow-moving line up to the summit. Though I wasn’t able to capture in a photo what was experienced, one of the most stunning and beautiful sights along the way was the vibrant line of headlamps leading all the way up and down the mountain in the dark. 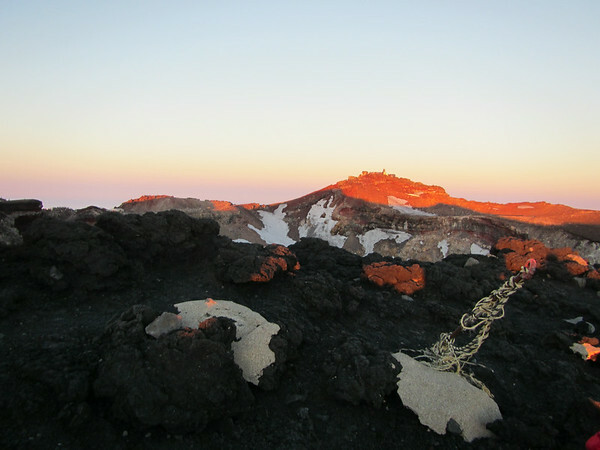 I saw families with children as well as elderly sitting to the side in the cold, as tourists and travellers like myself trudged past them, eager to get to the summit in time for sunrise. We may have been close to the summit but it took us 2 hours or so to get there. We finally arrived at some time between 4 and 4:30am. 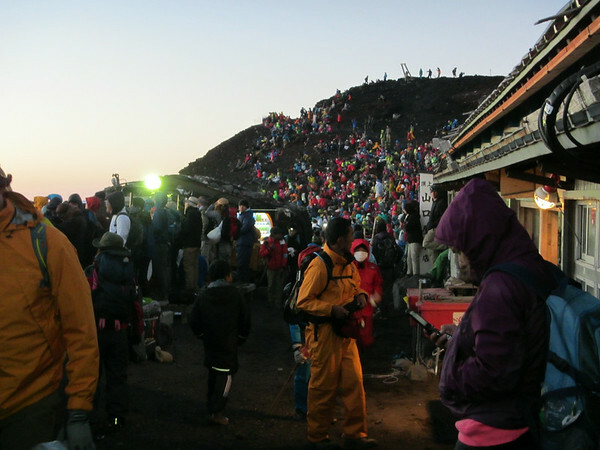 When we arrived, it was nuts — there were so many people at the summit that trying to navigate to the real peak was like trying to weave my way through a traffic jam. Barely any movement at times while at other times, I felt like people were shoving and pushing unnecessarily. 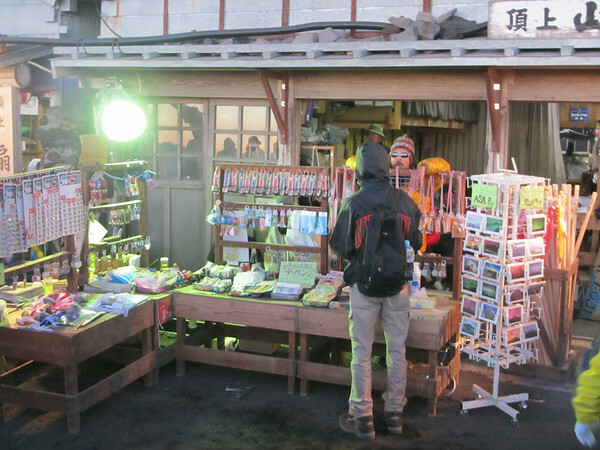 It was like mini town on the summit, with a small temple, souvenir shops, restaurants, etc. Finally we made it to the top and got away from the massive crowds huddling around the edge — eager to observe the sunrise. 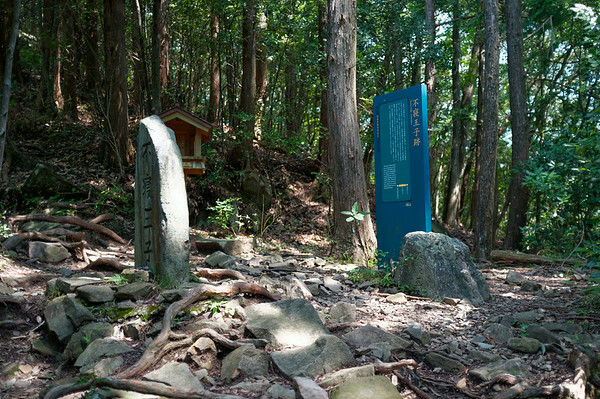 Instead we pushed even further towards the peak where we noticed a shrine and fewer people sitting around. It was a tough last push with the winds quite powerful and us being so tired but there was something so sweet about finally making it and just watching as the sun gradually and then rapidly rise to light up the sky … something so tranquil and peaceful. The moment was so brief yet priceless. Once the magic of the sunrise had worn off and we were beginning to really feel the cold, it was time to descend. There was an opportunity to hike around the crater but we had two buses to catch and were concerned about whether we would make it on time. These buses aren’t exactly inexpensive so we really needed to keep an eye on the time. Now fully lit in daylight, the descent was a little different than the ascent. One thing to take note of is that the descent is very very dusty. In fact it is so dusty that I would recommend covering yourself as much as possible. Everything from my ears to my bare arms were layered with red dust and on occasion the wind blew the dust into my eyes as well. It was just as beautiful, possibly even more so with the feeling of success. 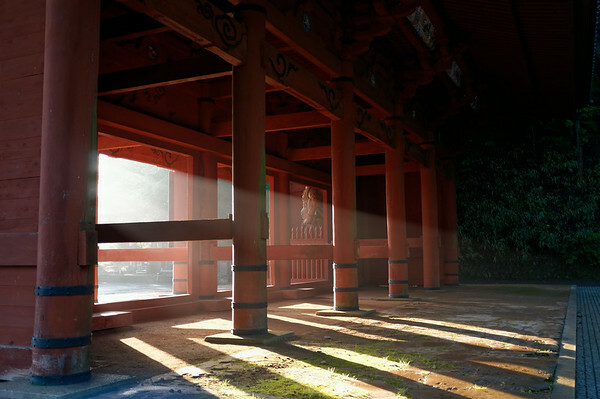 For me, I had achieved what I had intended on doing when I decided to visit Japan. Meet up with an old friend and successfully hike Mt. 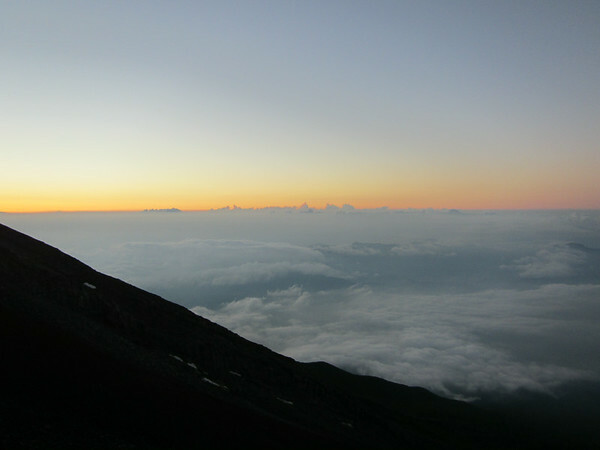 Fuji to enjoy a sunrise. Would I do this trek again? I don’t know. Many folks say that you wouldn’t likely want to do something like this twice. I guess I would like to ideally see the sunrise or sunset elsewhere but it’d depend on the company I was with. I figured my friend and I — despite the now hilarious mountain hut story, as told above — were pretty fortunate. 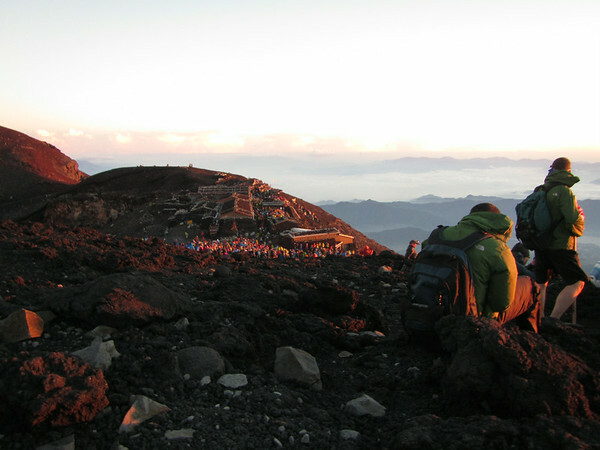 I’ve heard so many stories of people intending on hiking Fuji-san to view the sunrise only to be turned back because of weather or to only see cloud when arriving on to the summit. I will however say that it is possible to not join a tour company, save money, and make it to the summit. My friend and I made it happen with just a little bit of planning. Sure, we got a little lost here and there but it made the journey that much more memorable. 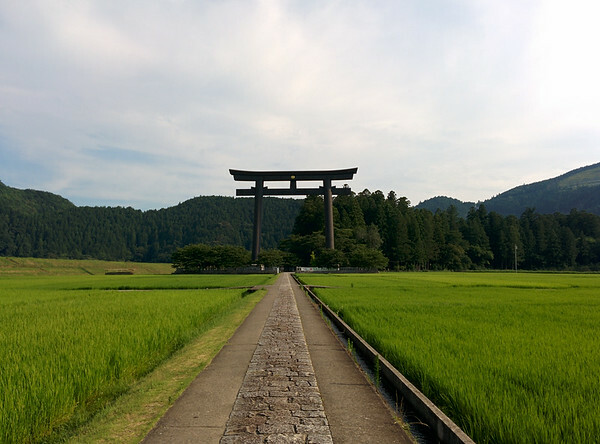 Back from Japan with a few tales to share but there’s a few bit of catching up I have to do so here’s a brief set of highlights. 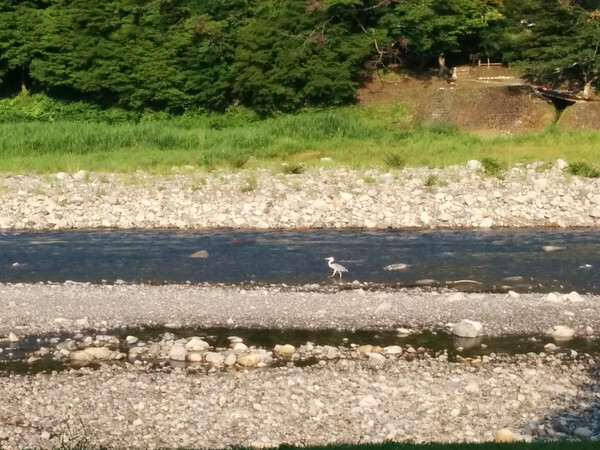 Despite having arrived in Osaka right at the tail end of the supertyphoon, it was a crazy hot and humid adventure. 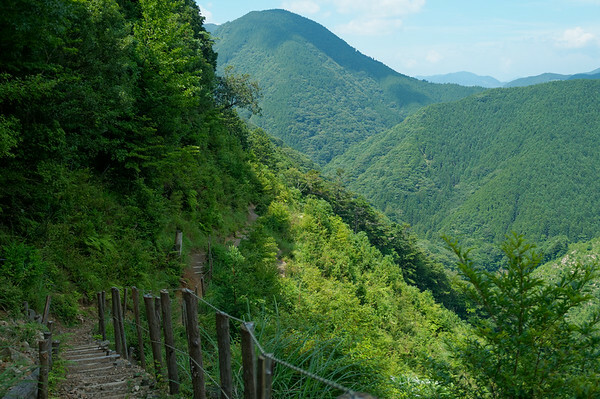 Apparently, hiking is an activity the Japanese primarily partake in during the spring and autumn season so most folks thought I was pretty crazy. Mt. Fuji was the only place I visited in Japan that was actually cool (thank you elevation). 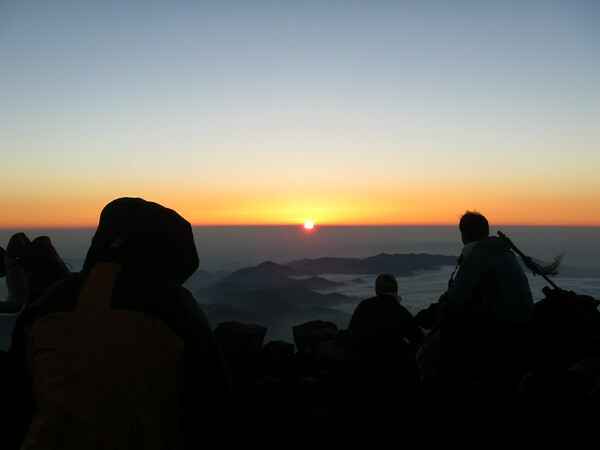 It made enjoying the sunrise from Mt. Fuji’s summit that much better. 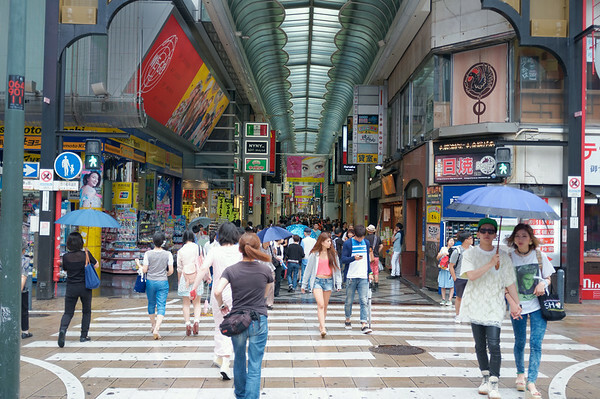 Nonetheless, what can a typical gaijin (foreigner) do? I only have so much vacation time from work and I was restricted to visiting within the months when hiking up Mt. 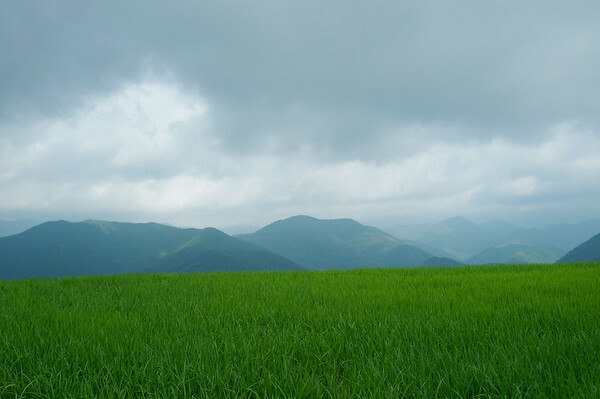 Fuji was possible. 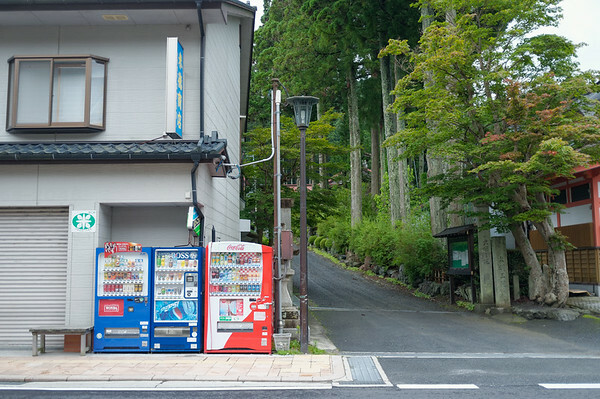 One of the first and most memorable things that I discovered while spending time in the cities is that streets weren’t nearly as popular as covered arcades. These were pretty much streets running through buildings or pedestrian pathways that incorporated some sort of cover from precipitation. Aside from doing a lot of walking, I had the opportunity to fully experience the train system. The train system was — to say the least — overwhelming for someone like me. In Toronto, directions provided are usually bundled up with one or two recommended routes. My experience in Japan is that there are likely 6 or 7 ways to get somewhere but it’s a challenge to figure out which one is the 6 hour route vs. the 10 minute route. 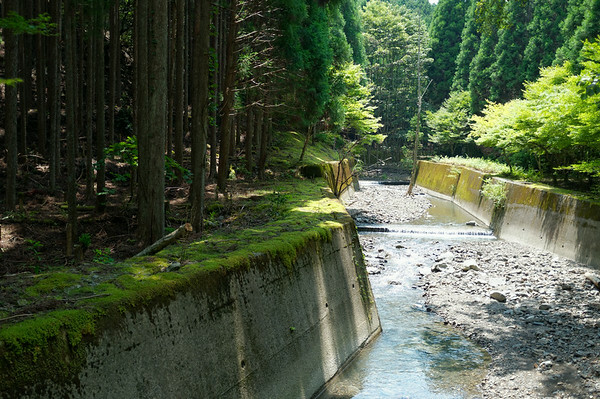 Nonetheless, it was one of the defining experiences of spending time in Japan. While many folks enjoy time in the city, I much preferred life outside the urban centres. Koya-san (aka. Mt. 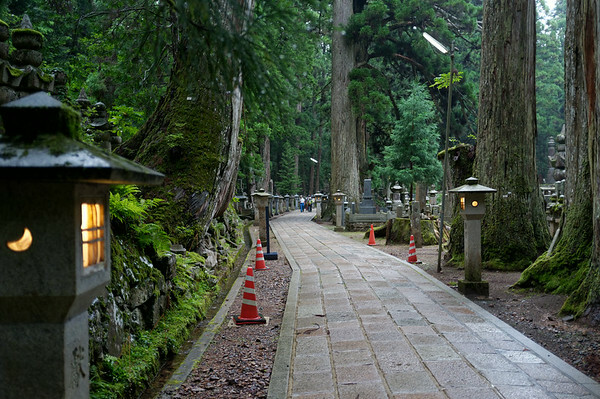 Koya) was one of the first places I visited on my trip. 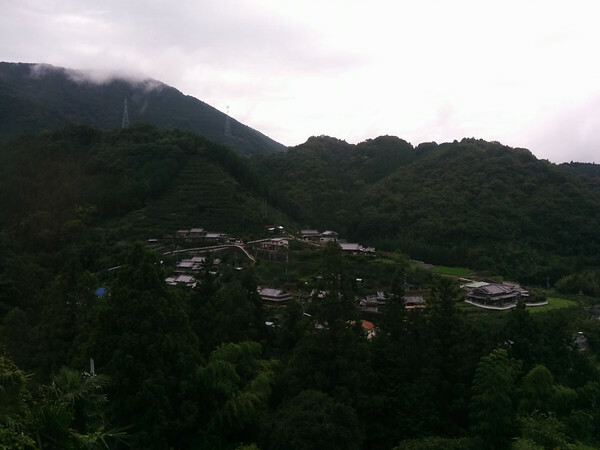 I found that it was immediately cooler than other areas up on Koya-san. 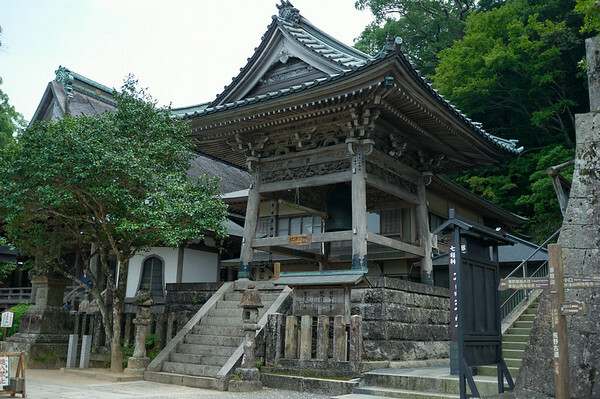 With Okuno-in and many ancient temples in the area, there was much to see and learn. 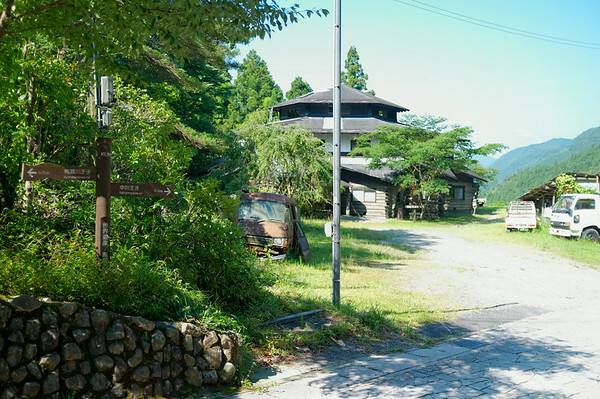 In addition, I had the opportunity to stay at Saizen-in, a local monastery which also had guestrooms to for travellers to stay the night. 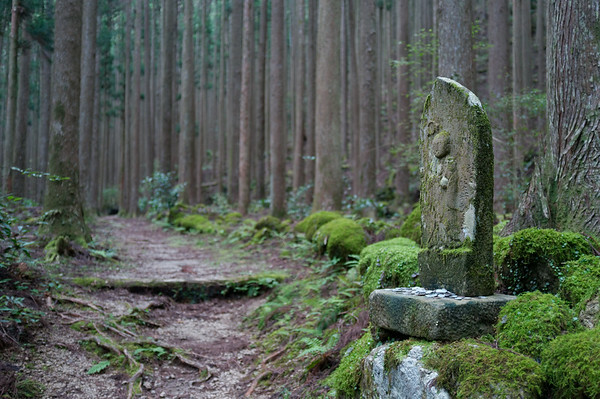 The Kumano Kodo pilgrimage trail was by far my most ambitious objective for my trip to Japan. 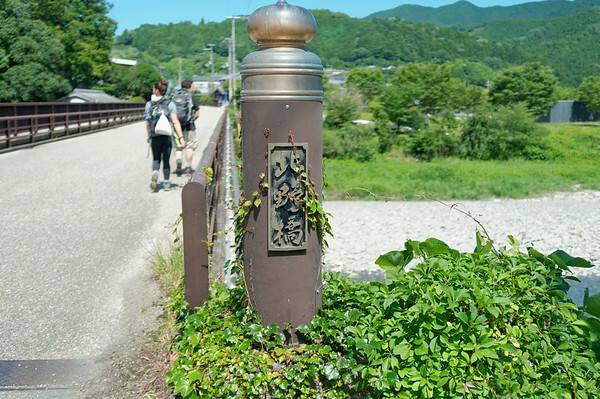 I decided to tackle 5 days worth of this ancient pilgrimage trail system. 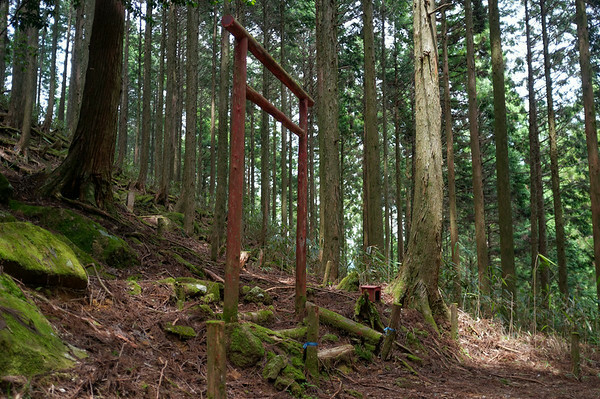 I soon discovered why the local Japanese thought I was crazy to hike at this time of year. With some days of the trek involving up to or over 20km and sometimes three or four ascents or descents of 800m — I was pretty tired to say the least at the end of each day. 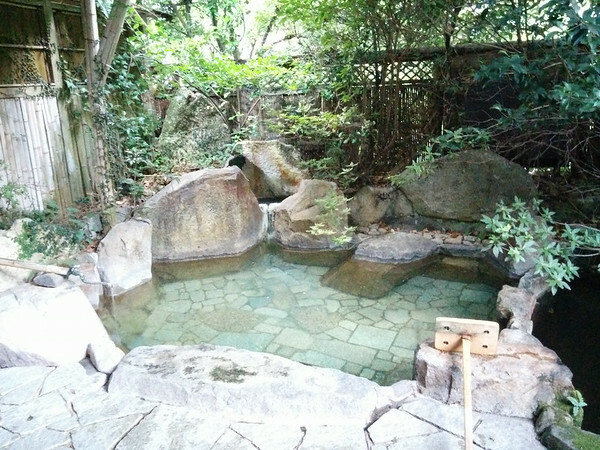 That said, the ryokans and minshukus that I stayed in along the way were wonderful in the sense that you would feel refreshed the next day and with a full stomach! 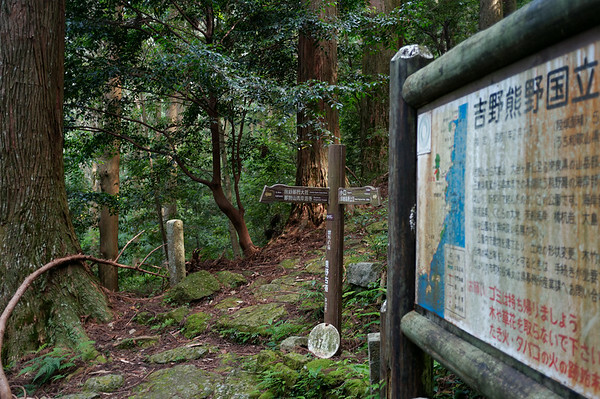 The Kumano Kodo ancient trail was by far one of the most memorable hikes or treks that I have attempted and one of my favourite parts of visiting Japan. 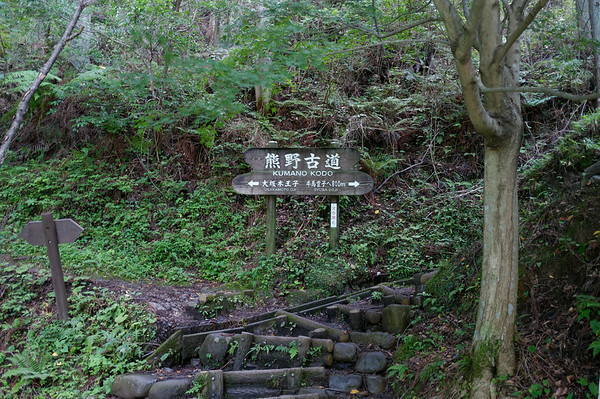 I had the opportunity to trek through small mountain villages and enjoy the very diverse natural environment that the ancient trail took me through. I will post the days on this trek in more detail in the near future once I get organized again. In case you don’t know what onigiri is — it’s a type of rice ball, often made in many varieties of shapes and flavours. Simply delicious. 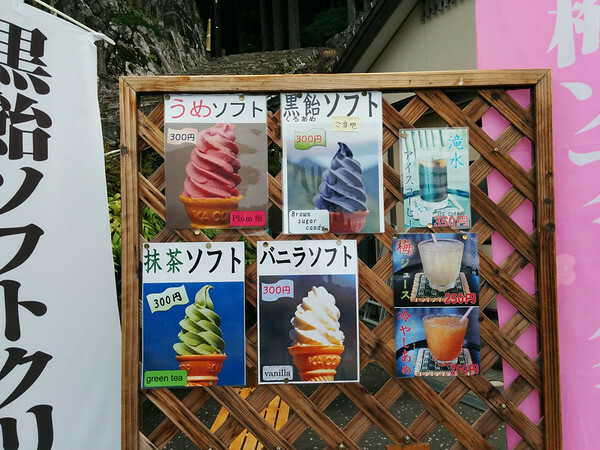 My trip to Japan was not just about hiking, it was also about eating! That I did … as well as visiting an old friend.